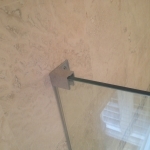 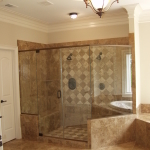 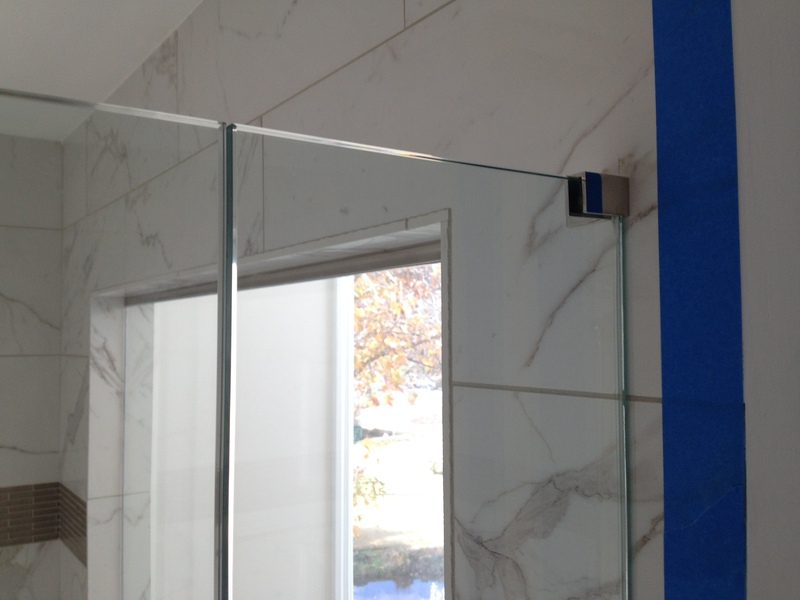 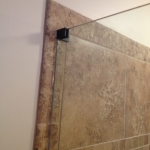 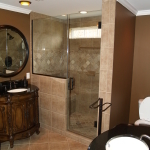 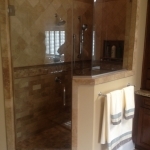 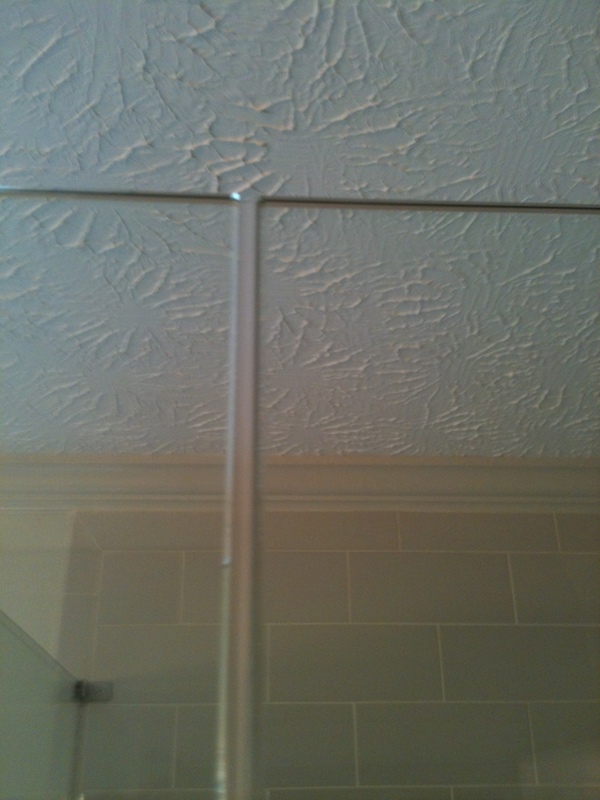 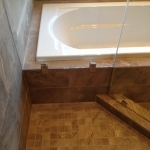 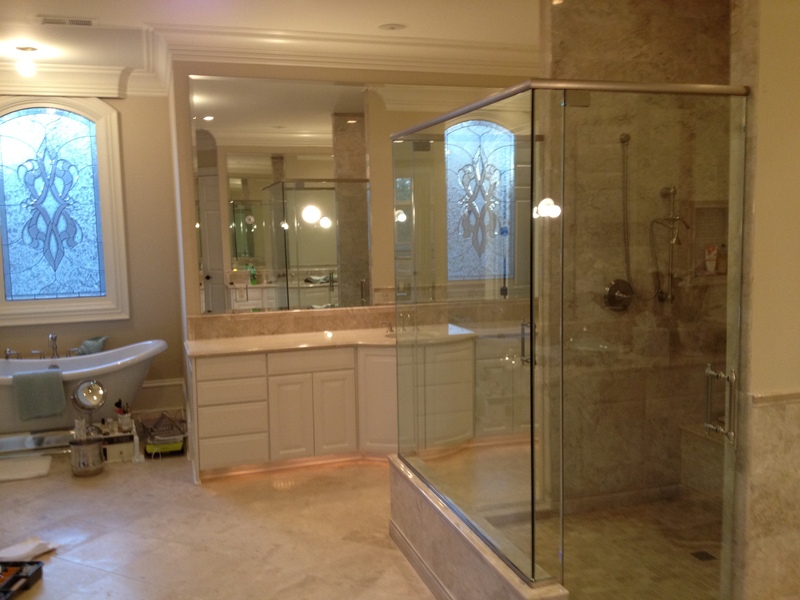 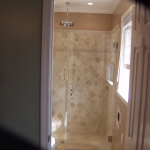 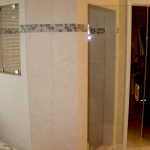 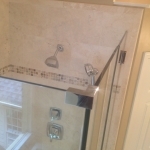 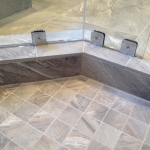 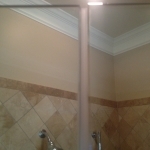 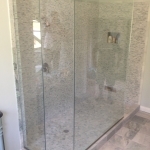 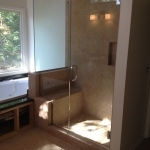 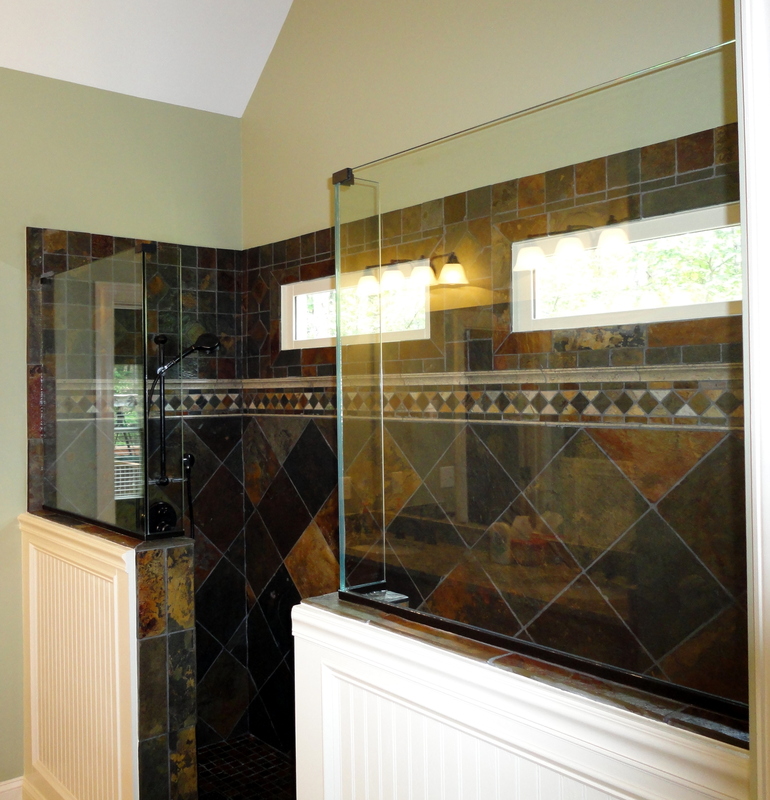 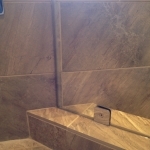 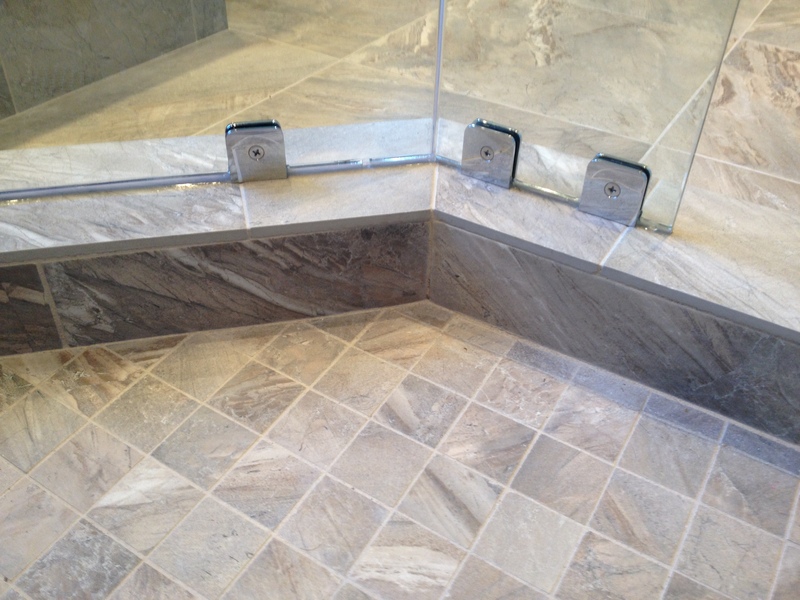 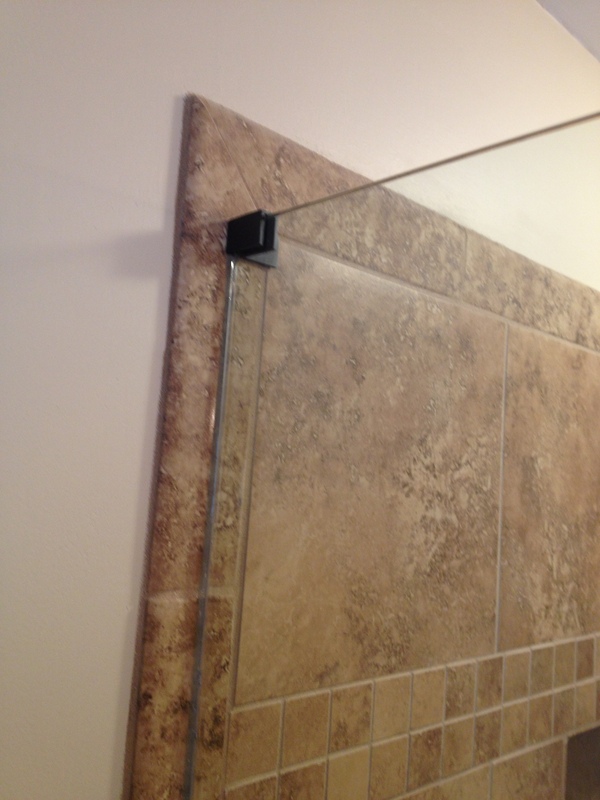 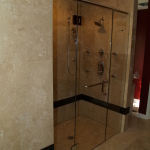 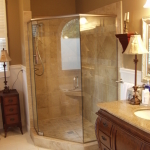 Frameless Shower Doors & Enclosures - Fast Glass Mirrors and More, Inc.
Fast Glass Mirrors & More specializes in frameless shower enclosures, which are the most customizable of all tub and shower enclosures. 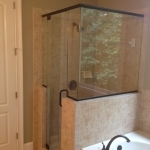 These enclosures offer the luxurious feel and quality of heavy glass and solid brass and stainless hardware, while leaving your room feeling open and fluid by minimizing or eliminating obtrusive framing members. 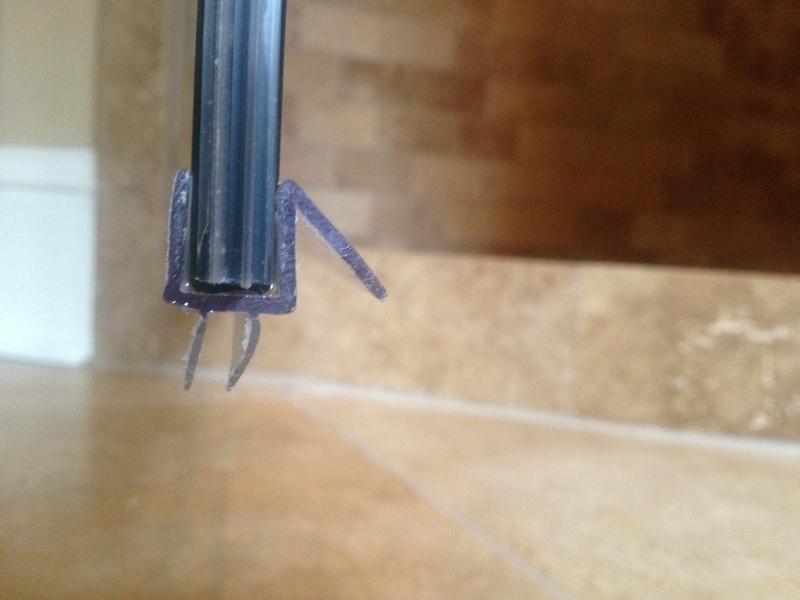 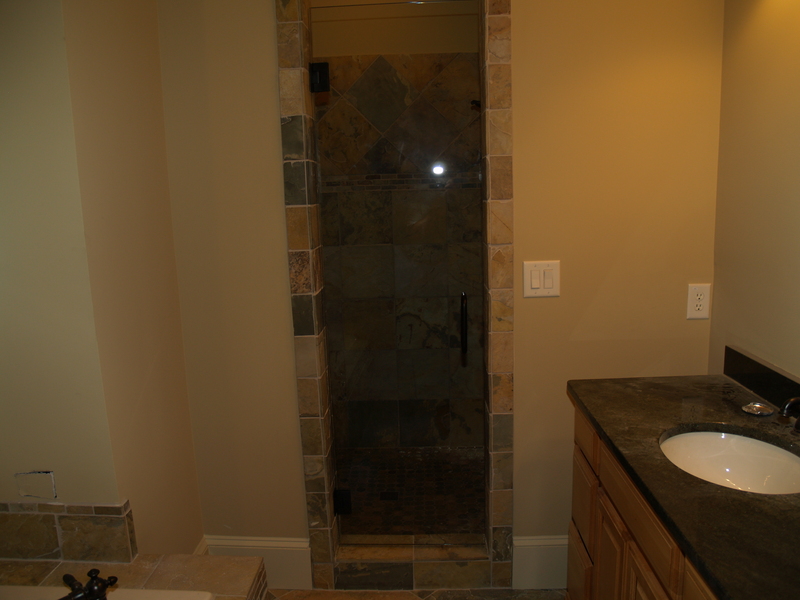 Their greatest attribute could be their lack of defining framing members that allow the showcasing of today’s beautiful natural stone, tile, and contemporary bath fixtures, to become a centerpiece of your project. 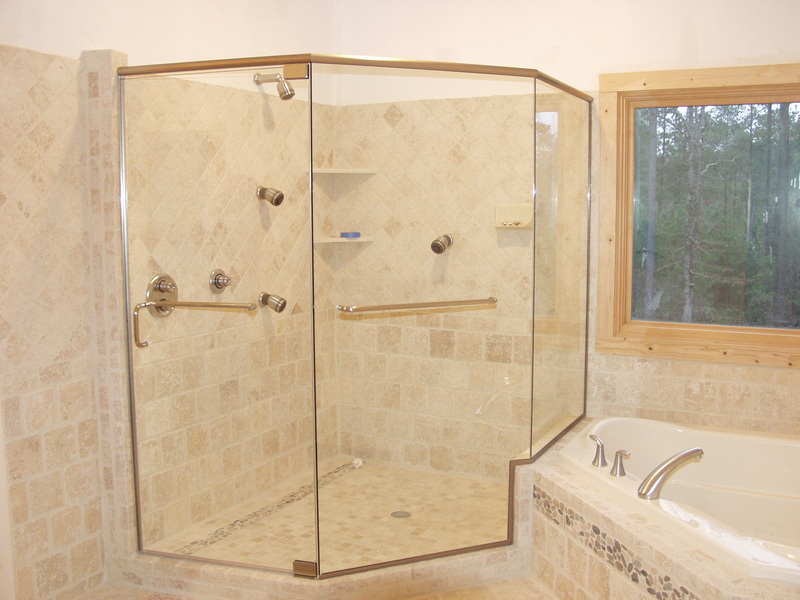 There are many design features available to add practical and architectural interest to your project. 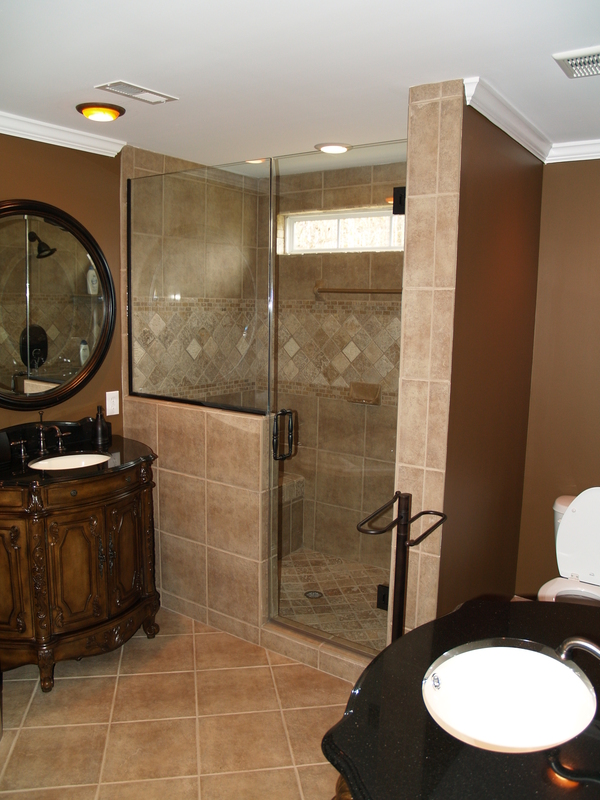 Take your bathroom from plain and functional to elegant and spacious. 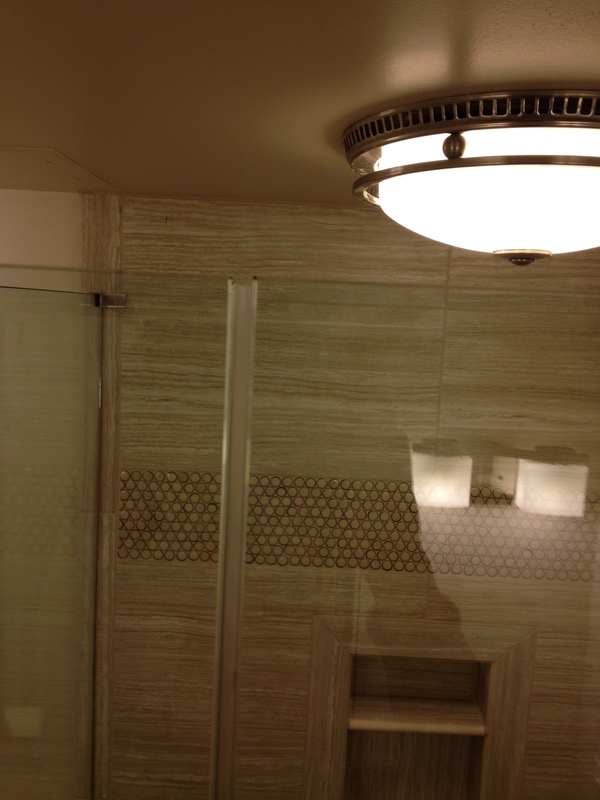 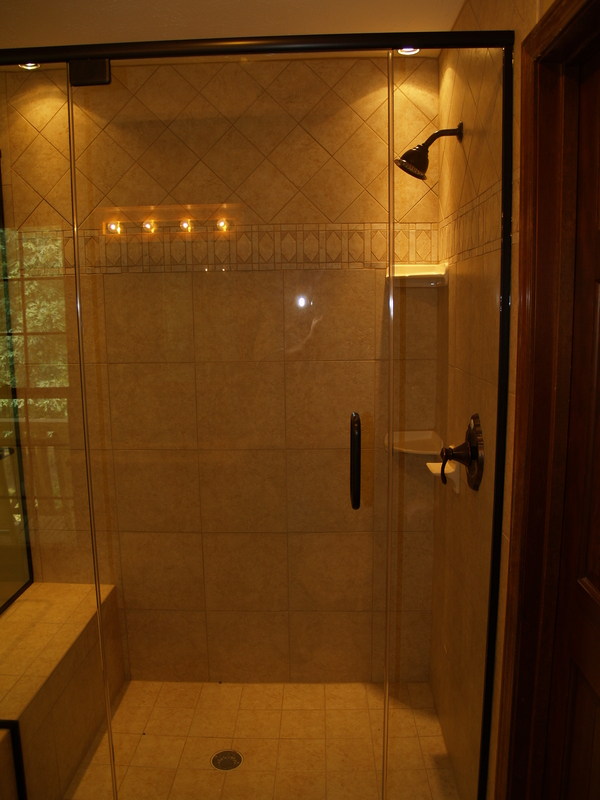 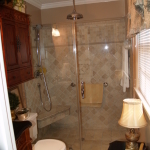 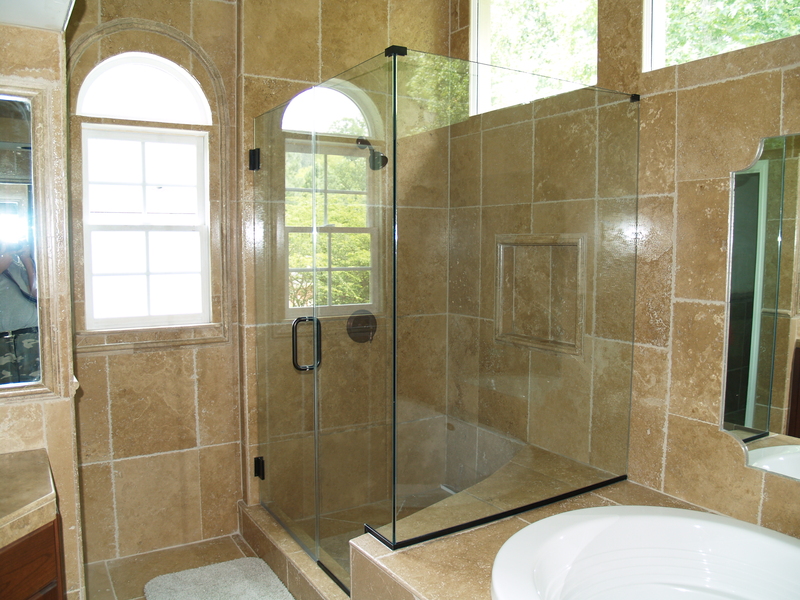 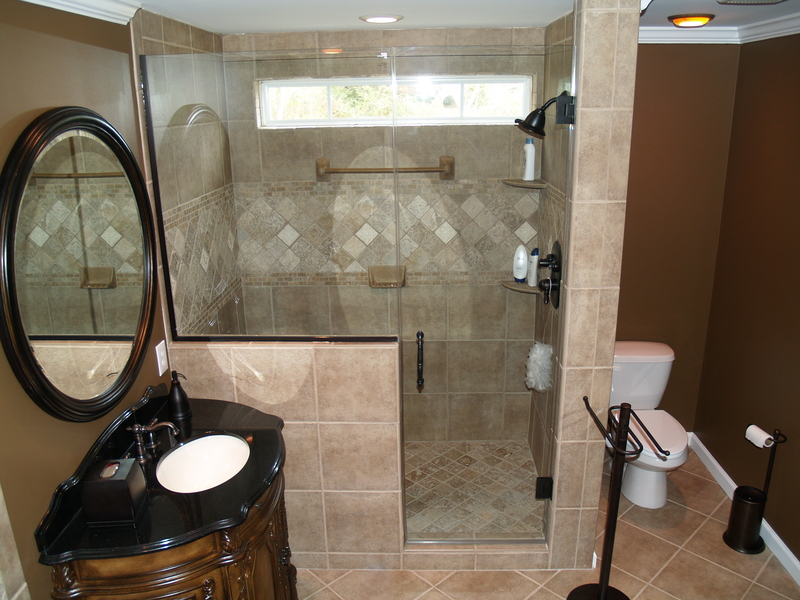 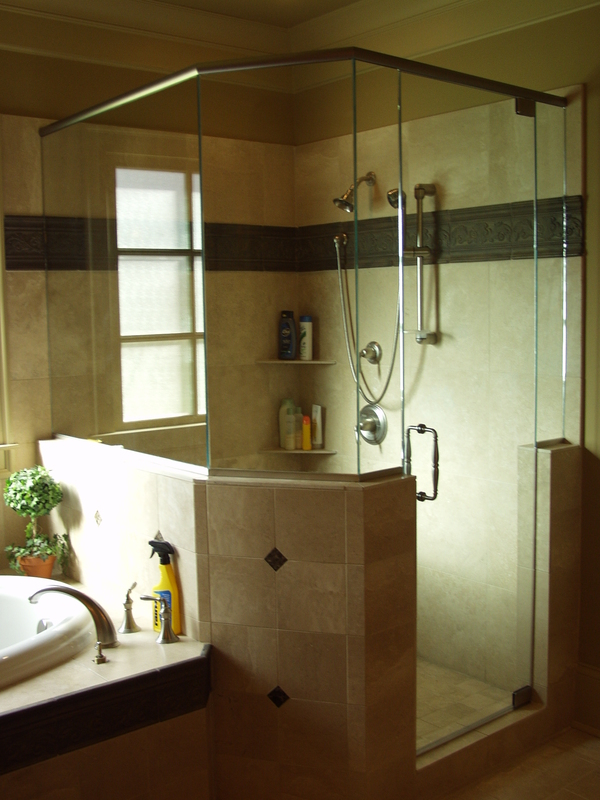 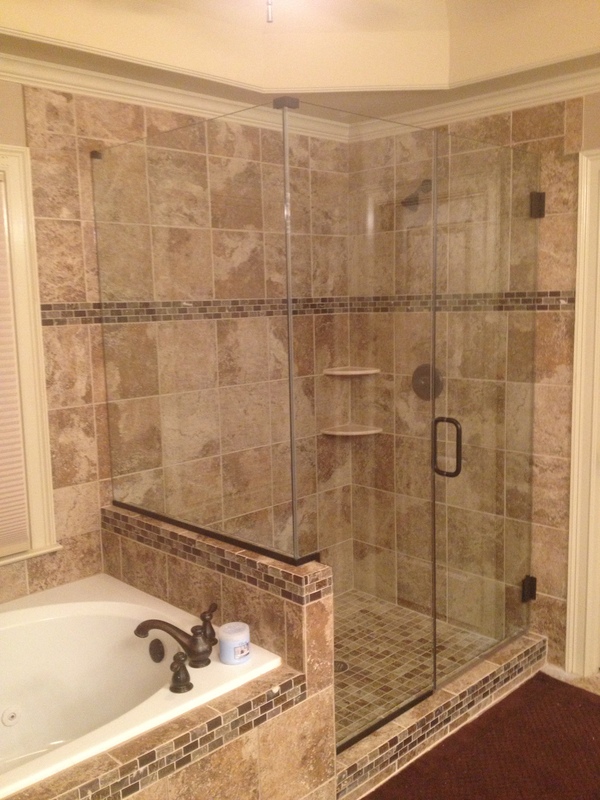 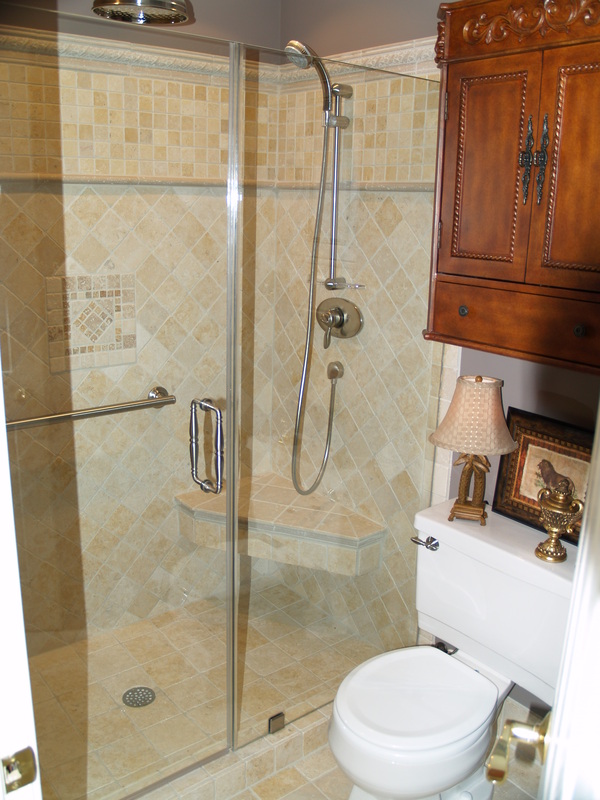 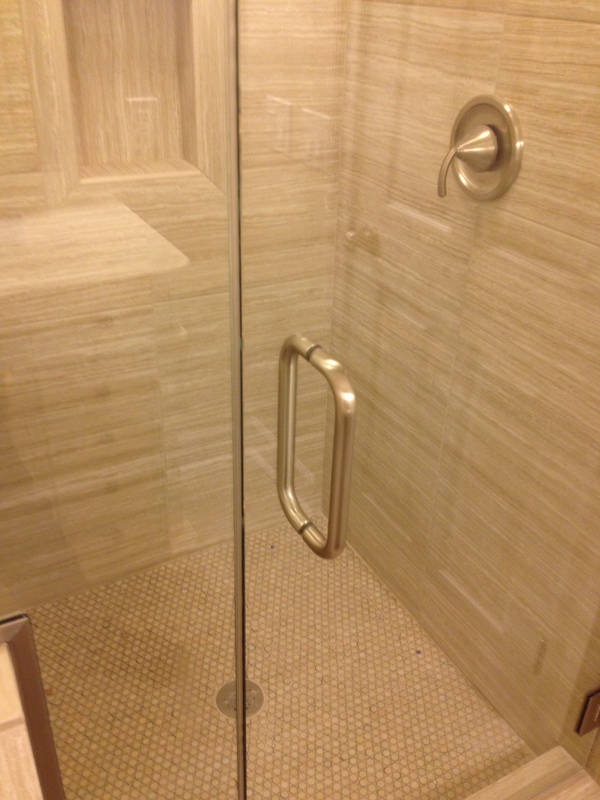 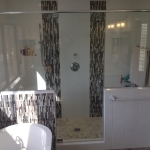 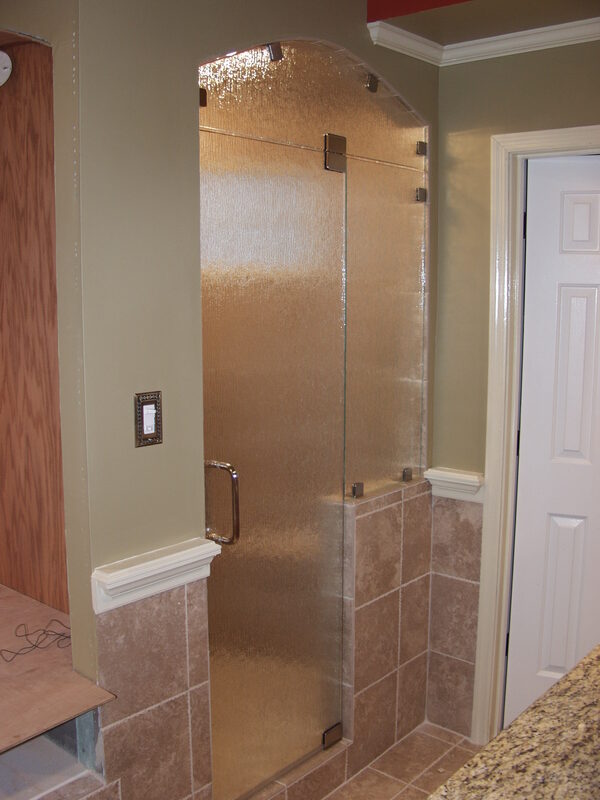 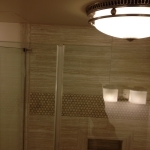 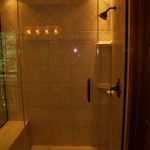 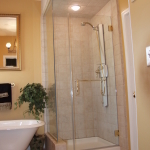 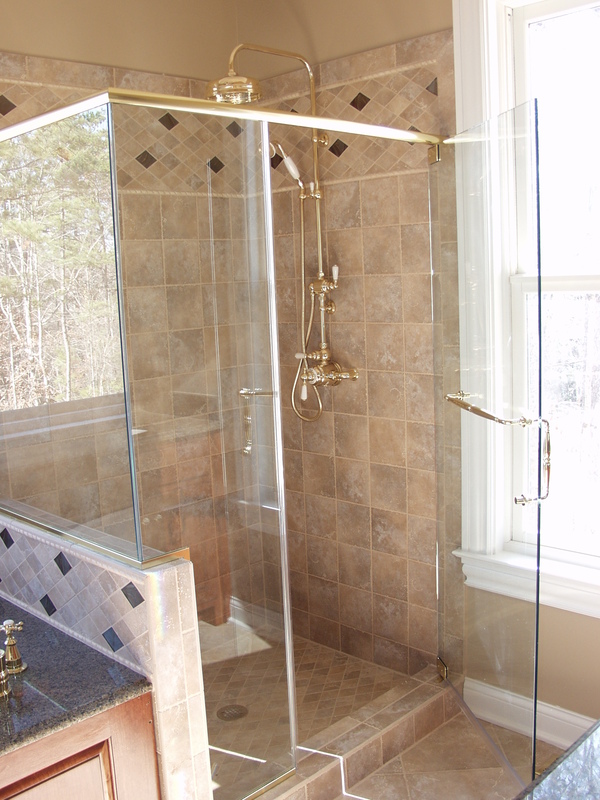 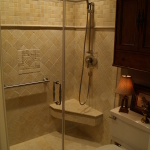 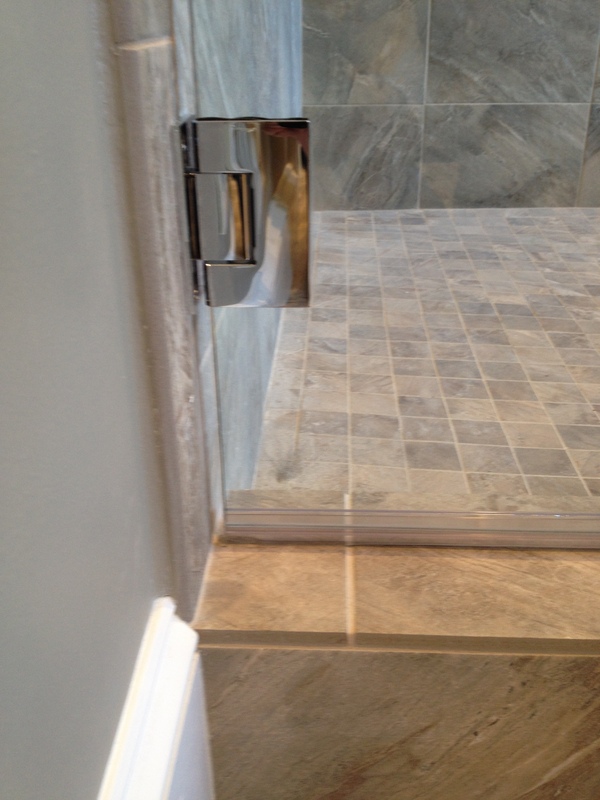 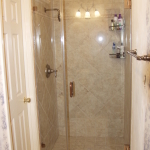 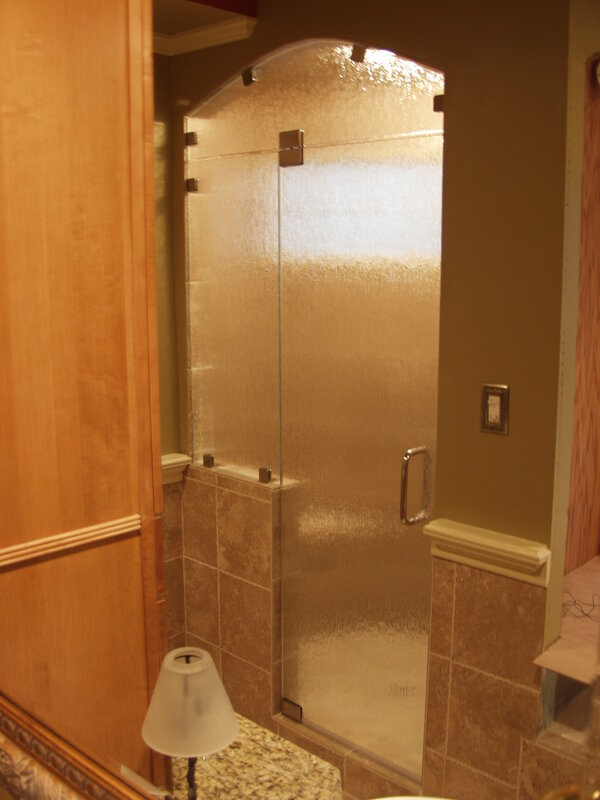 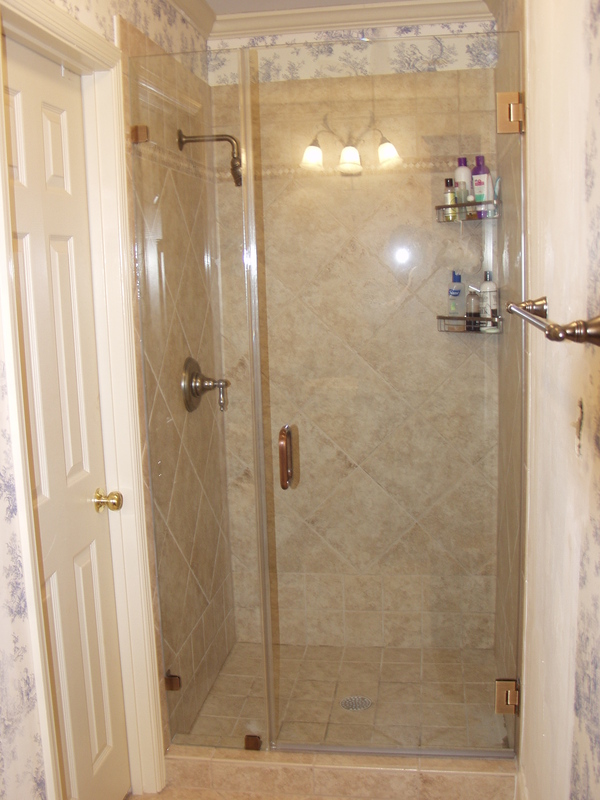 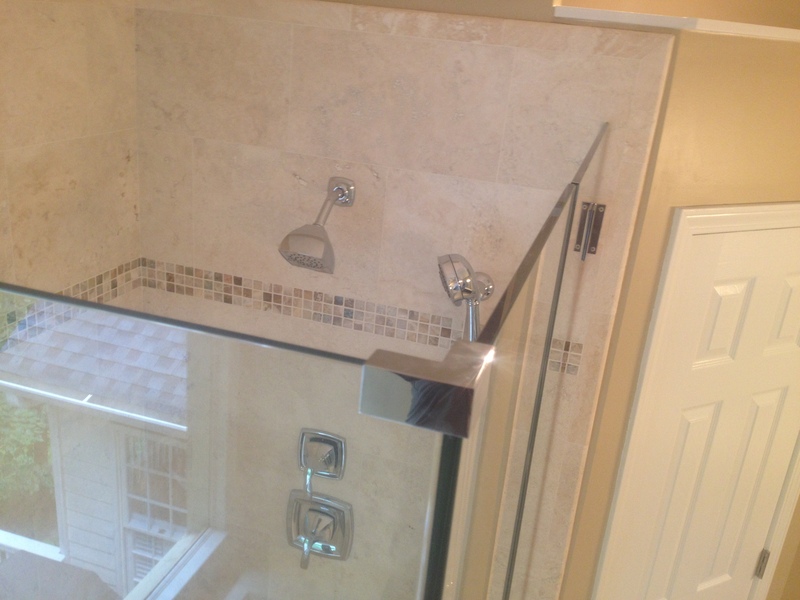 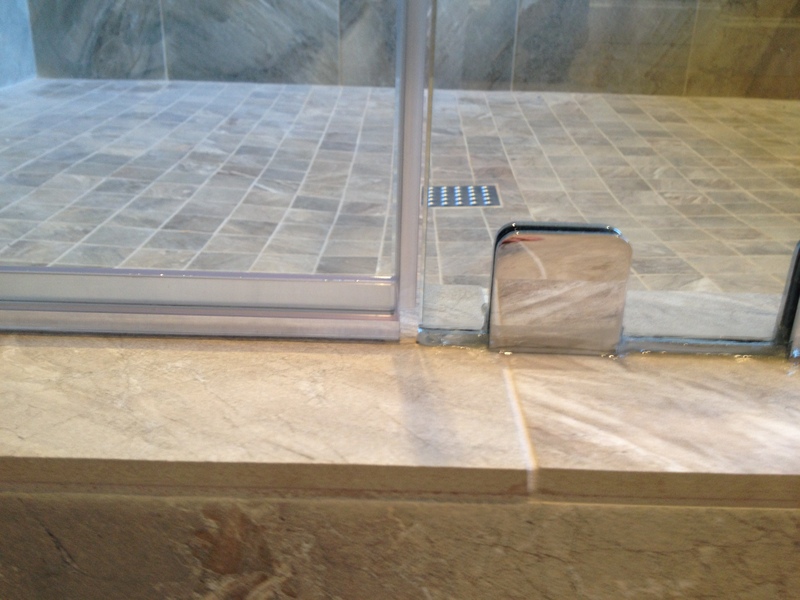 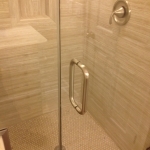 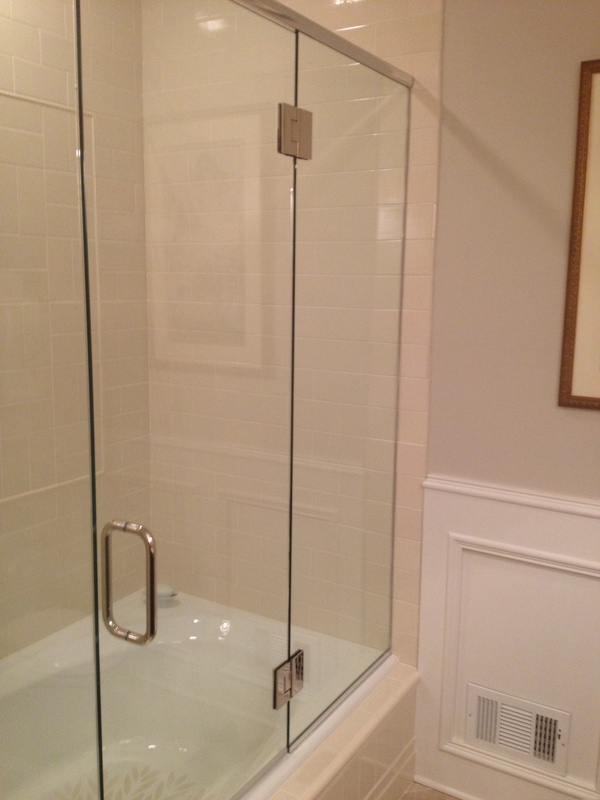 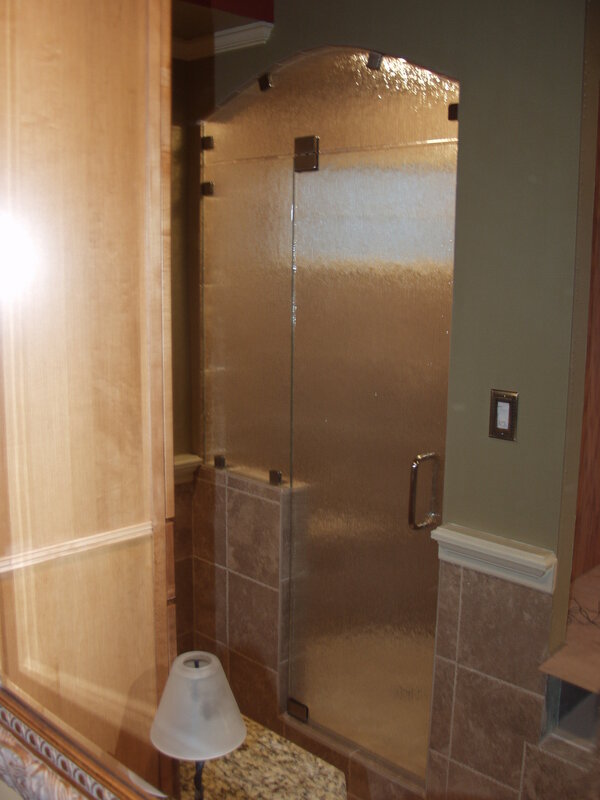 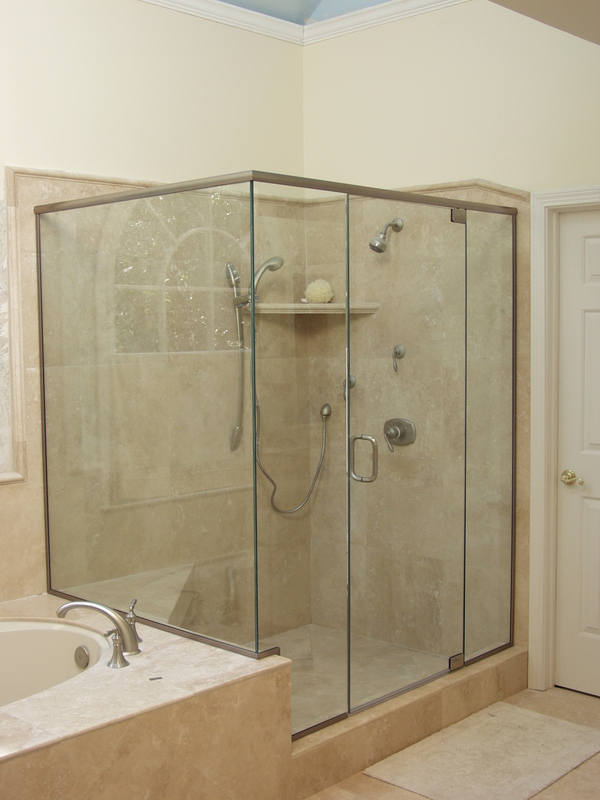 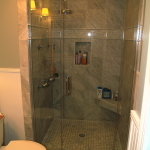 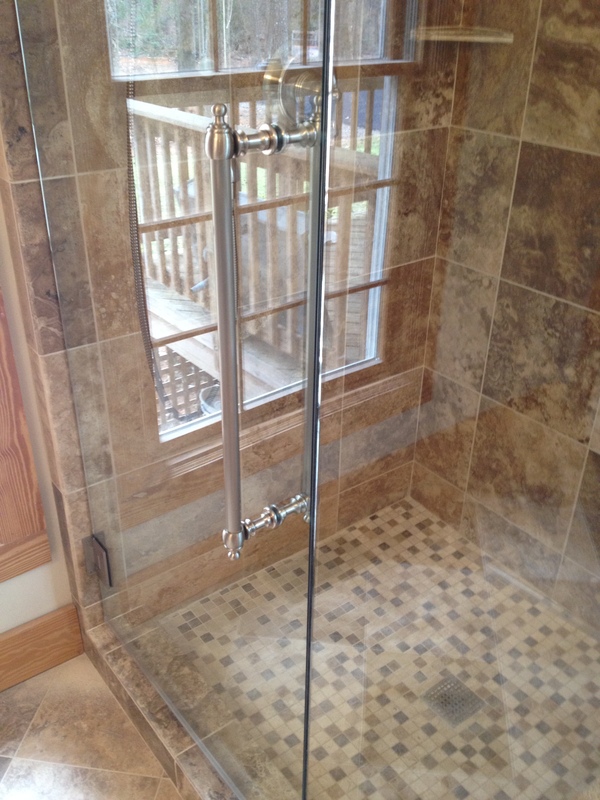 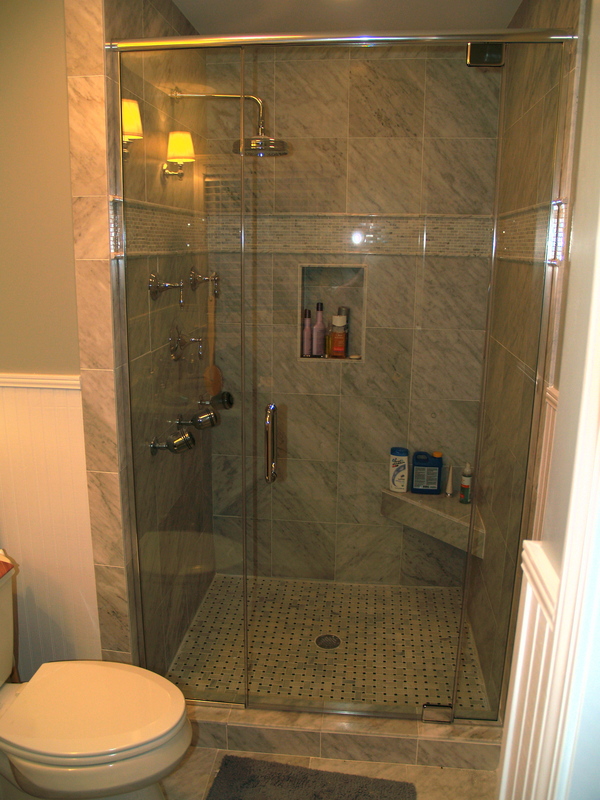 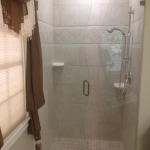 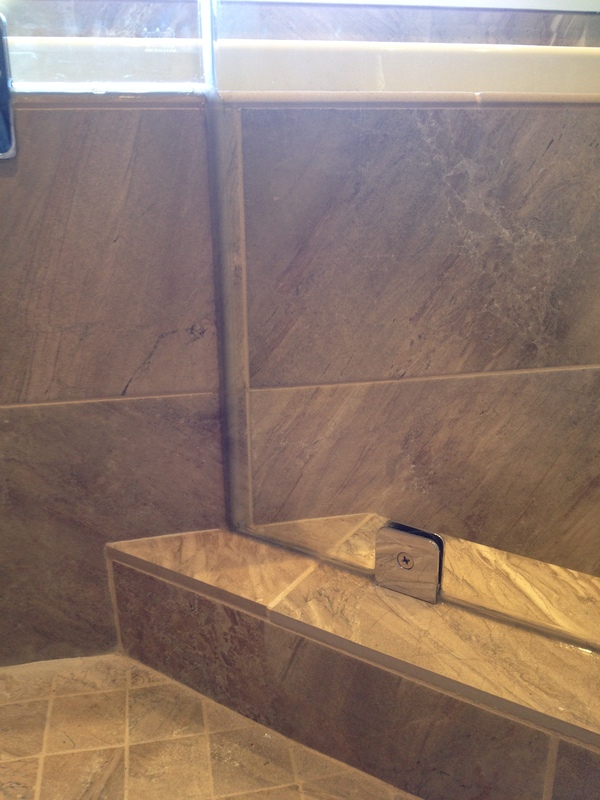 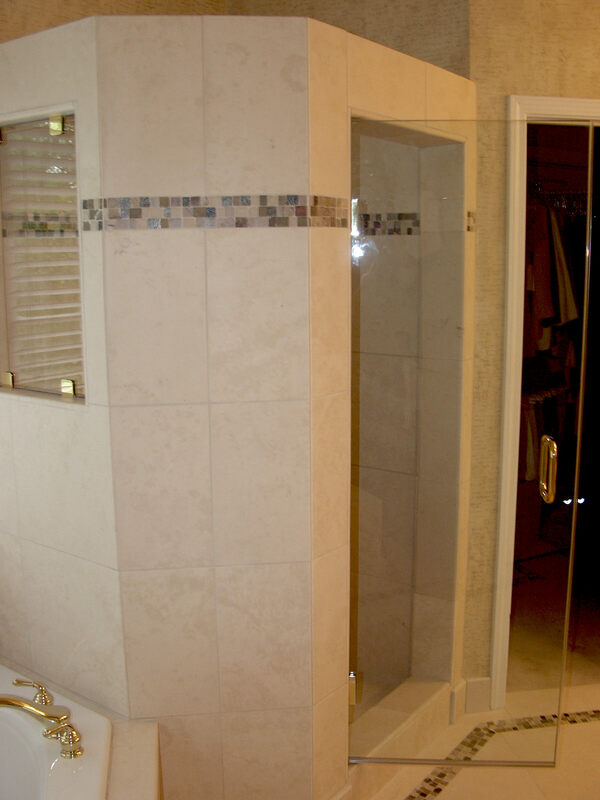 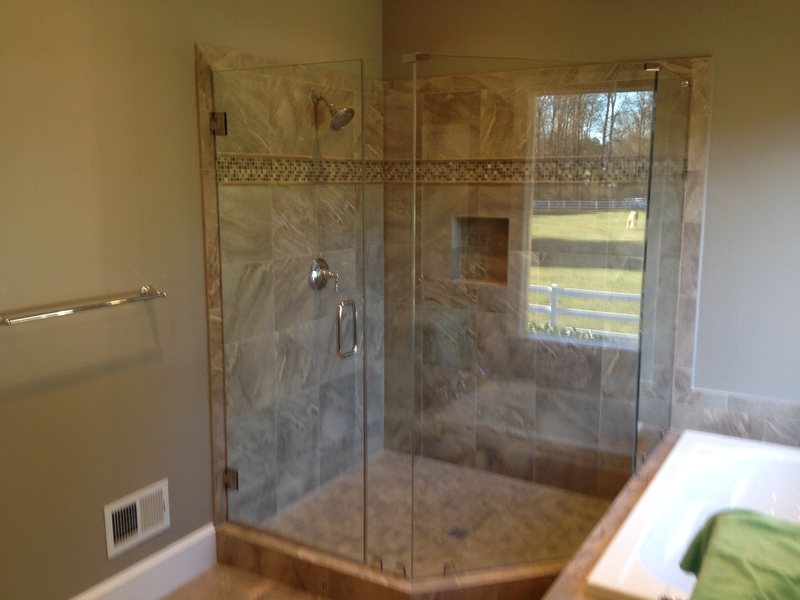 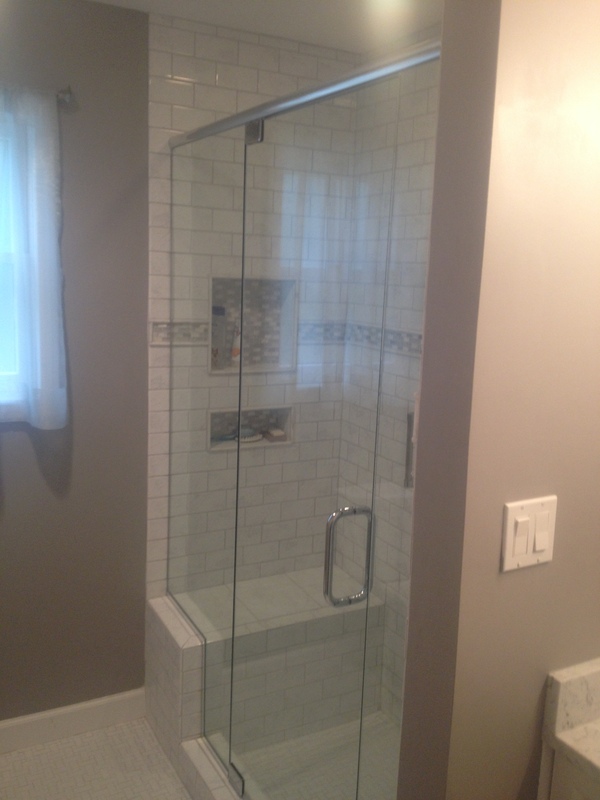 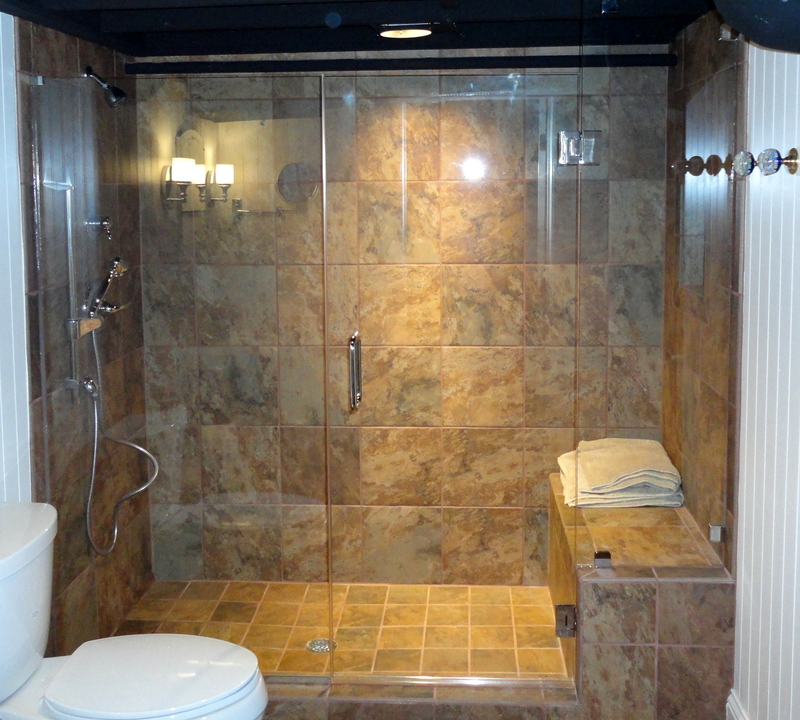 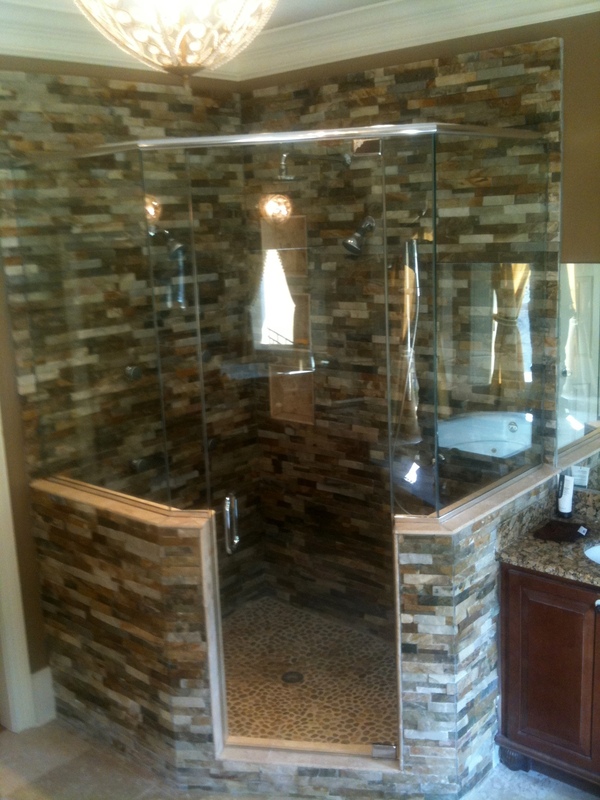 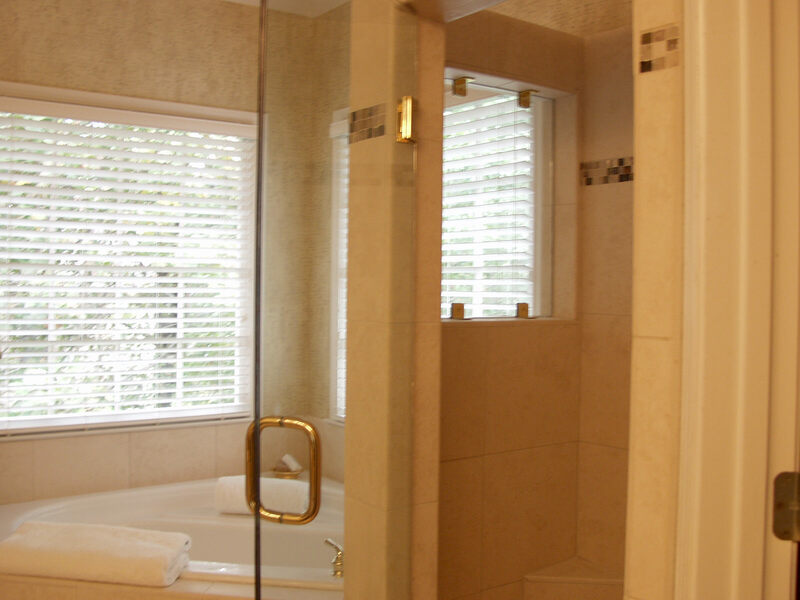 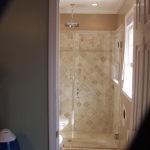 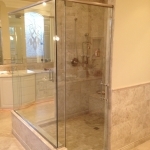 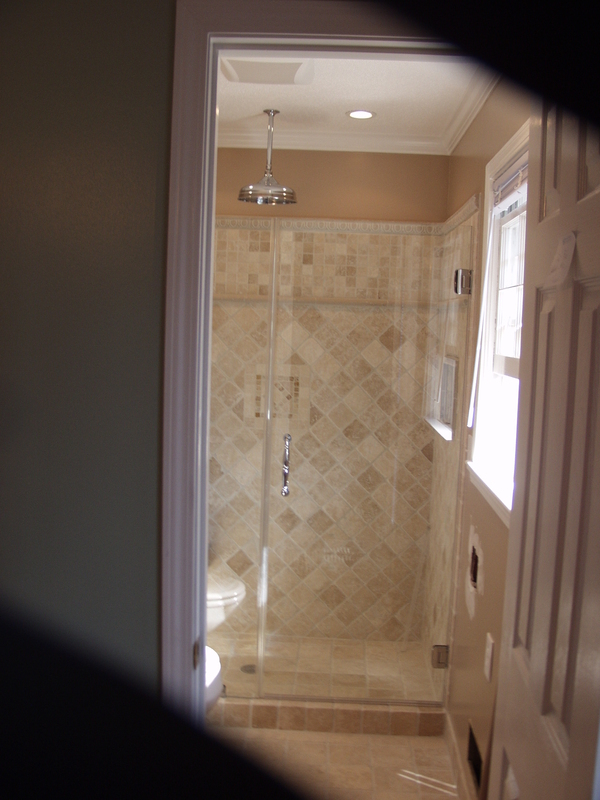 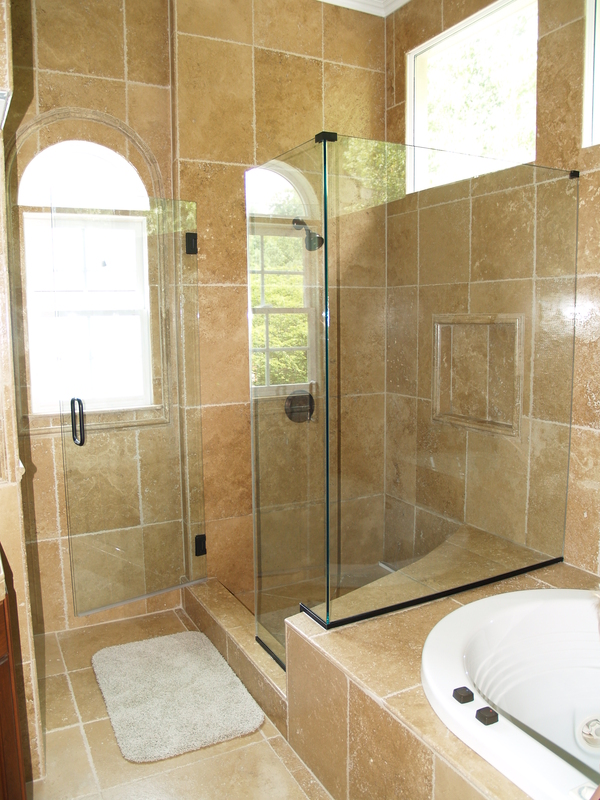 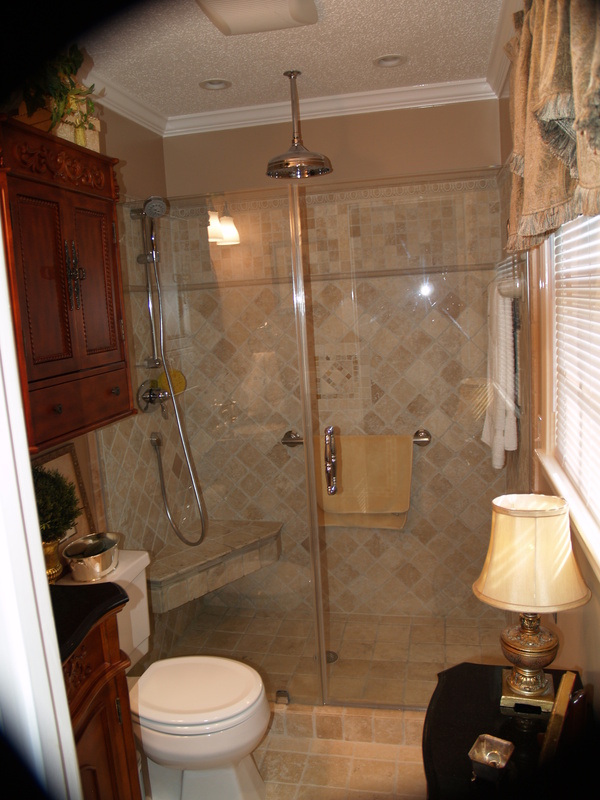 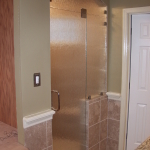 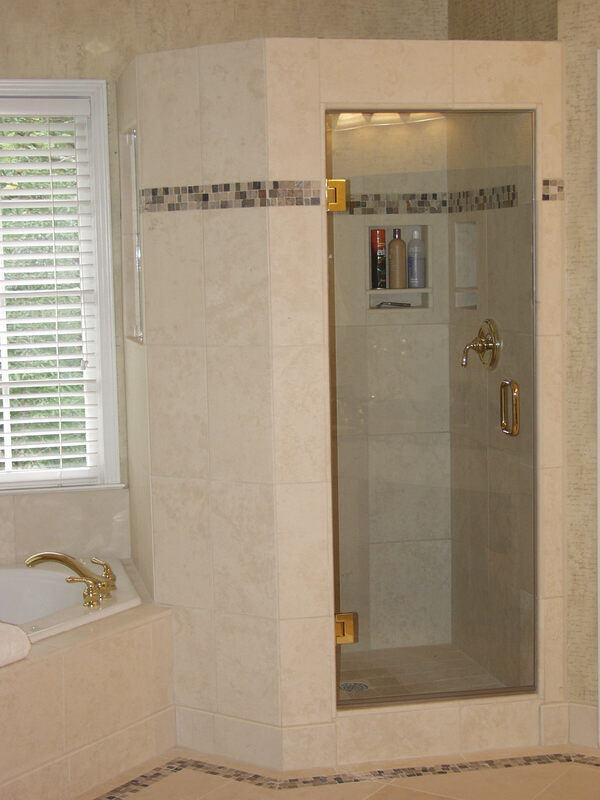 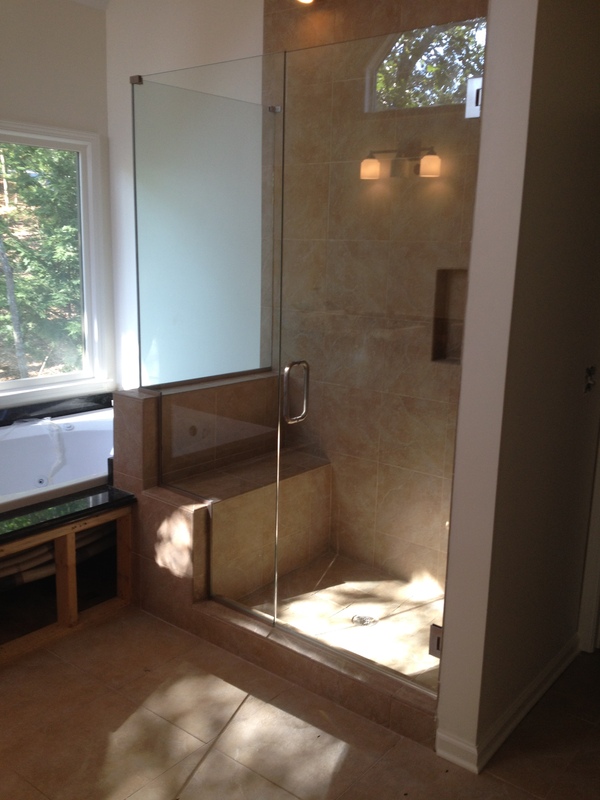 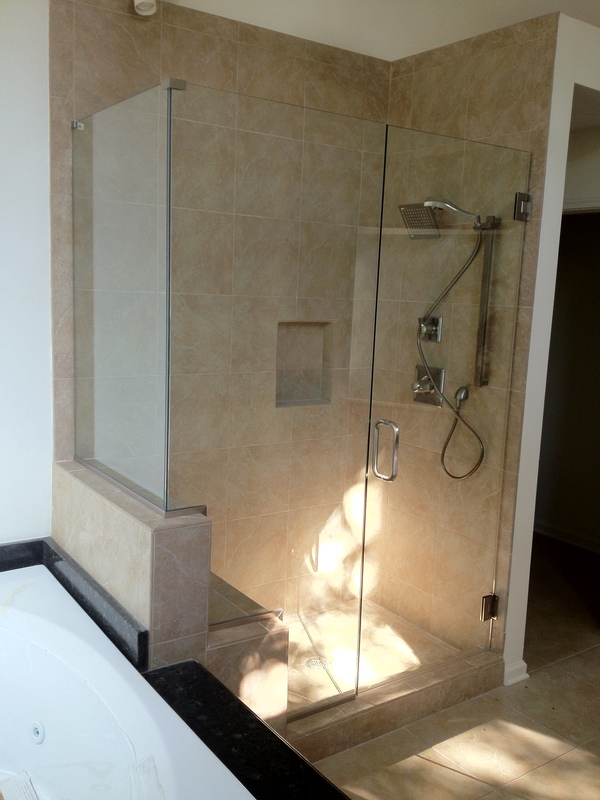 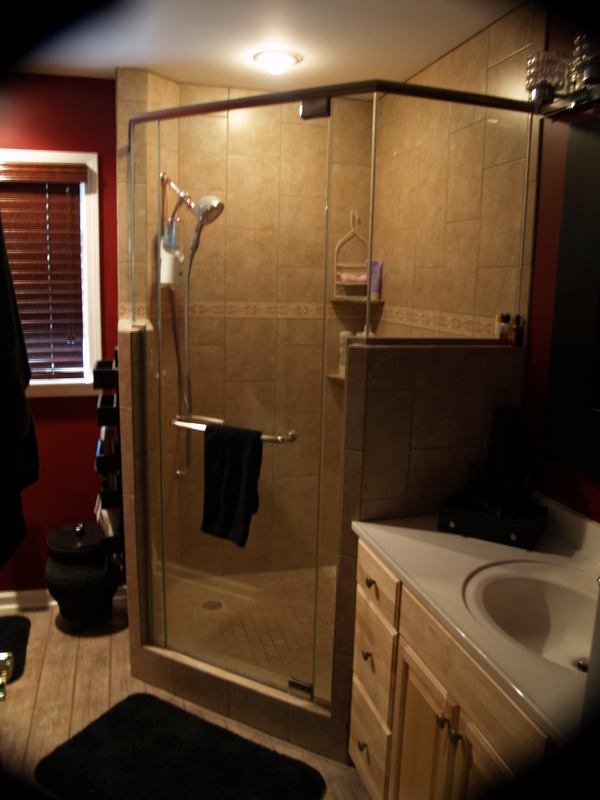 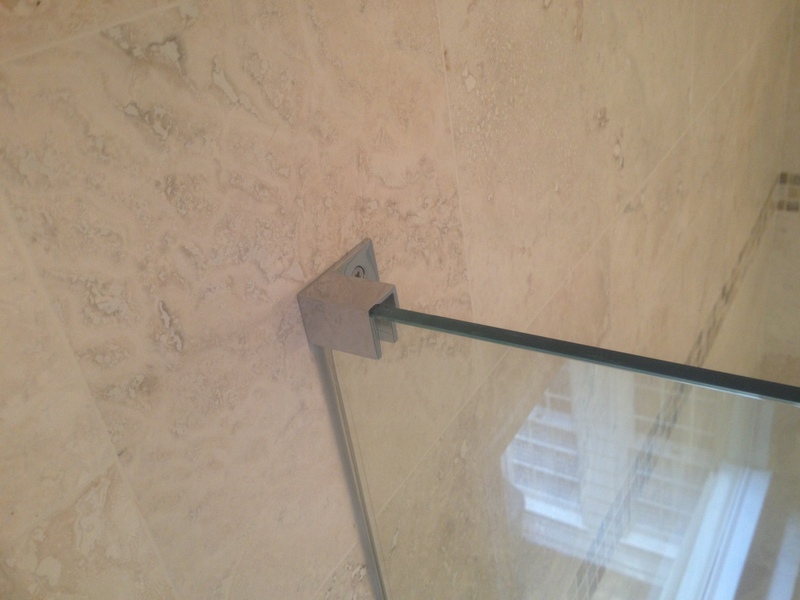 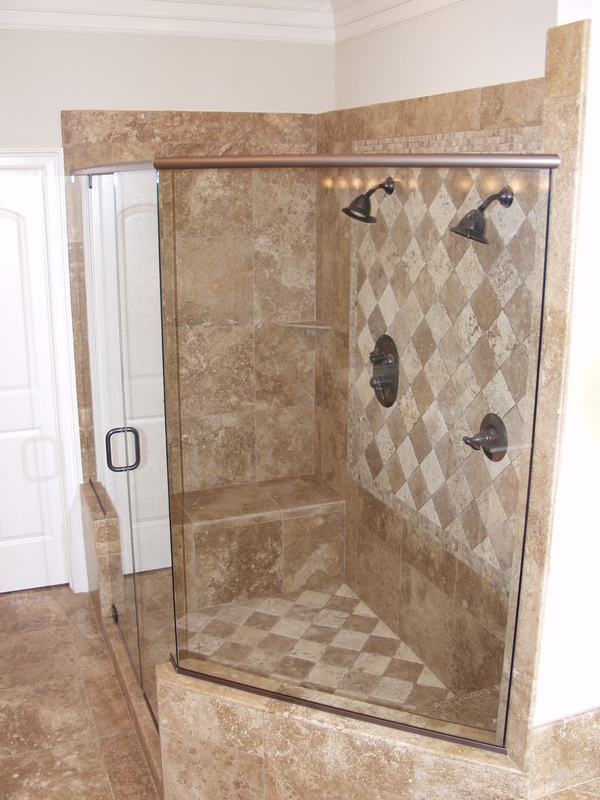 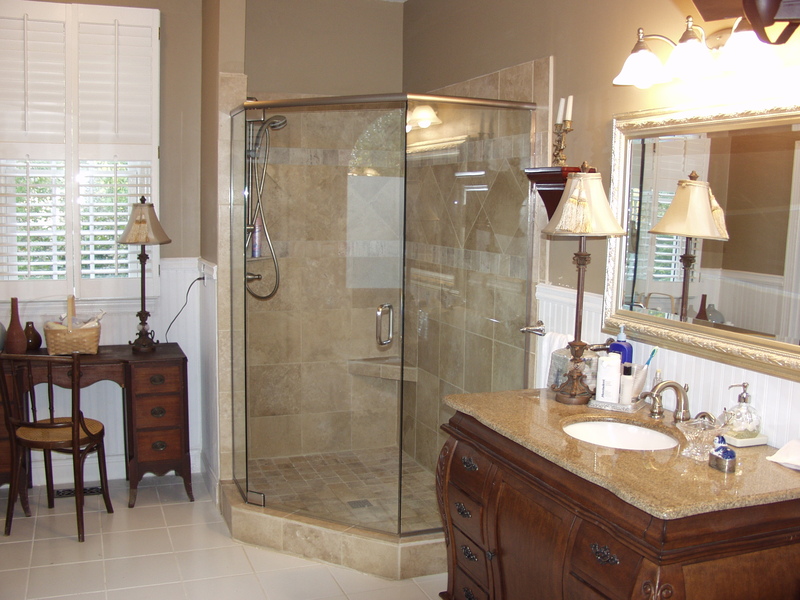 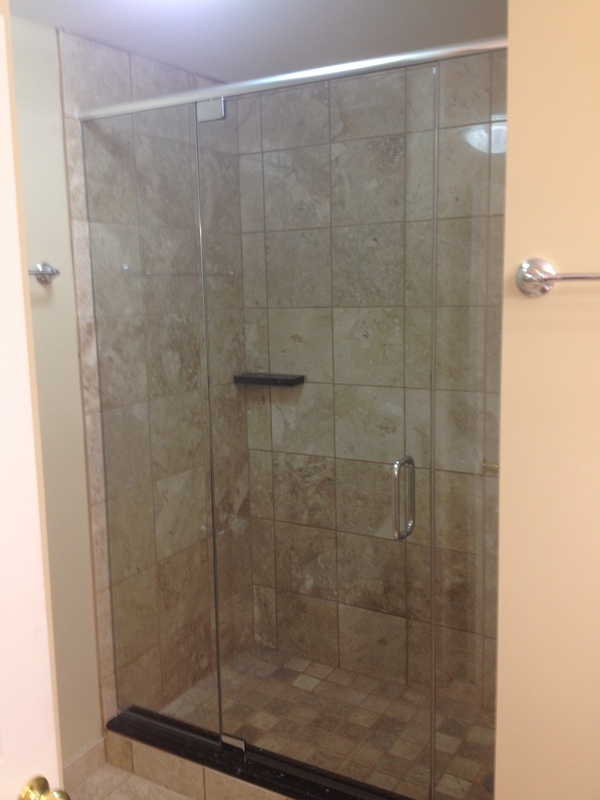 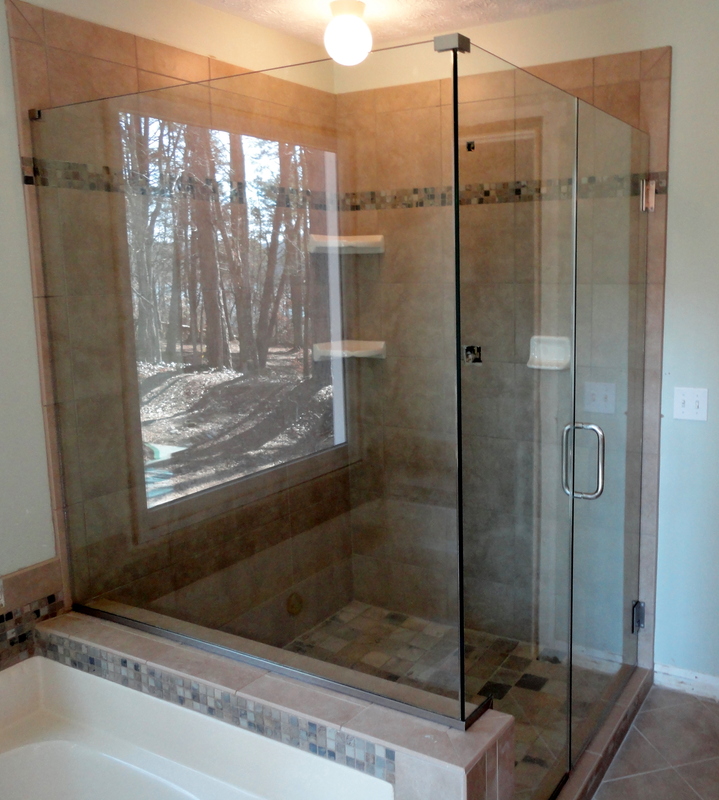 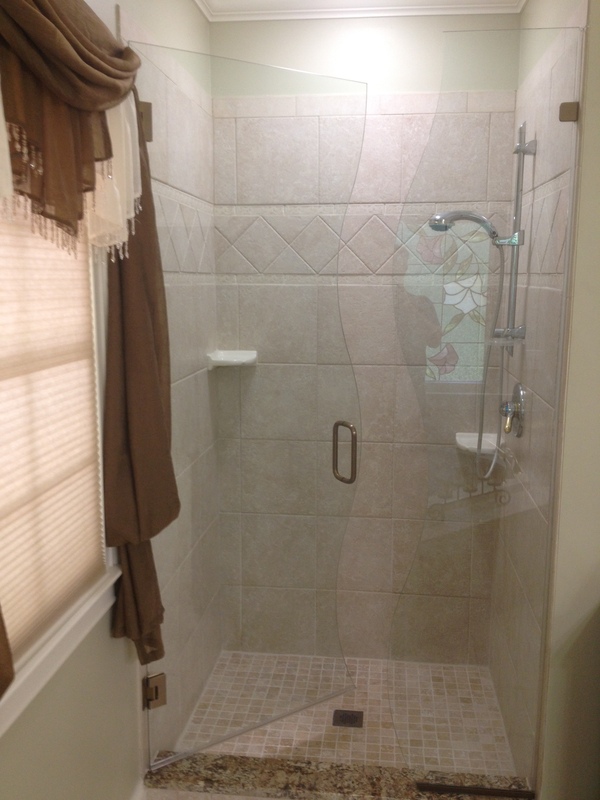 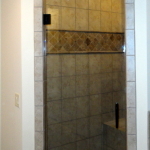 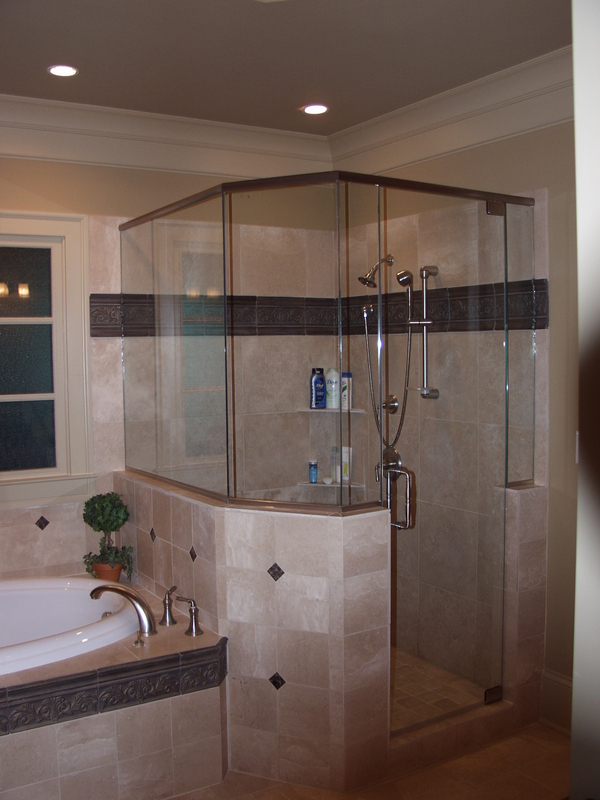 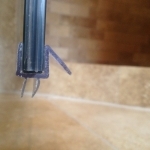 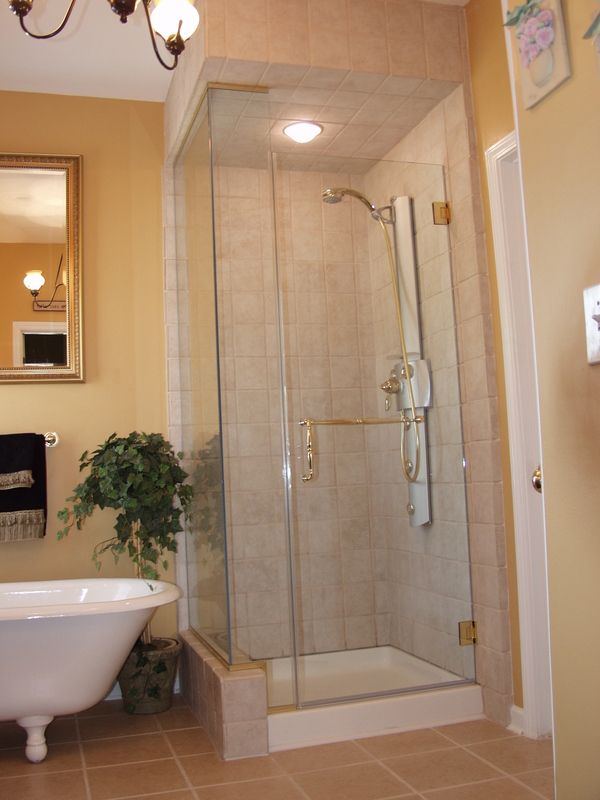 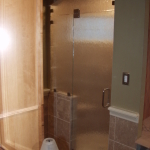 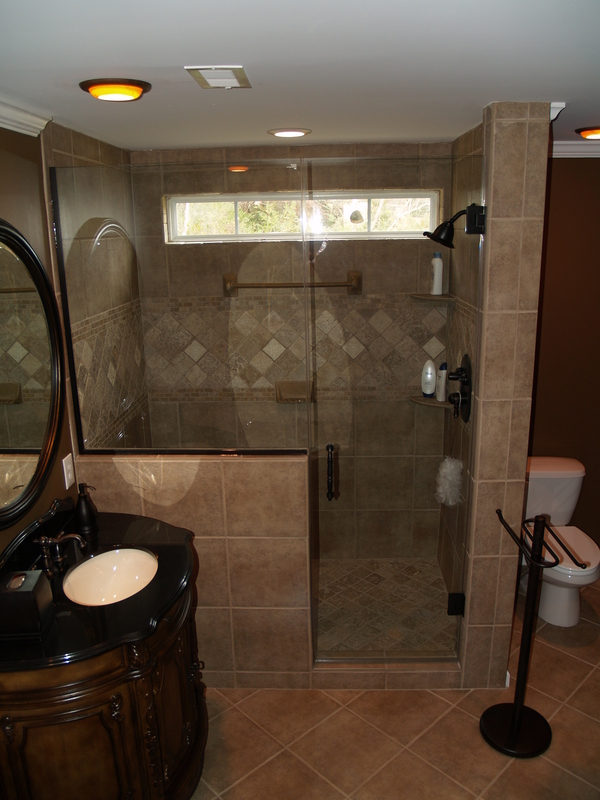 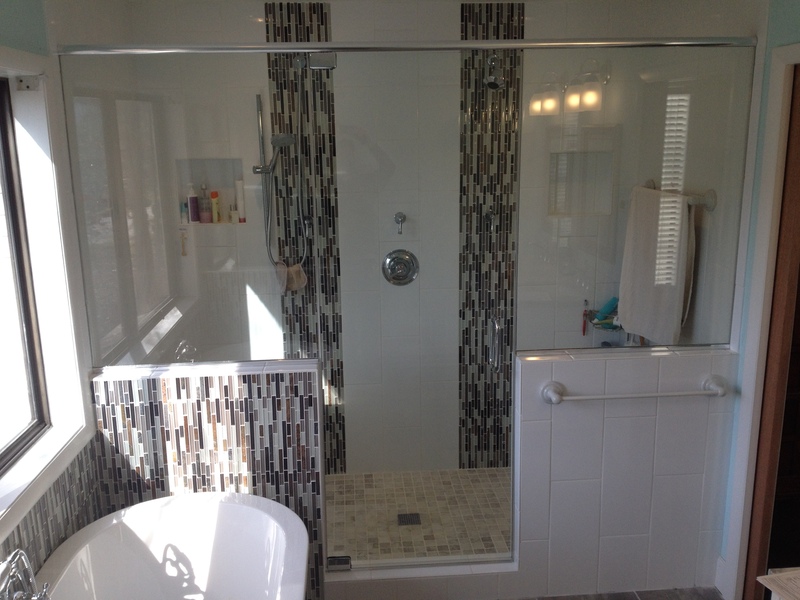 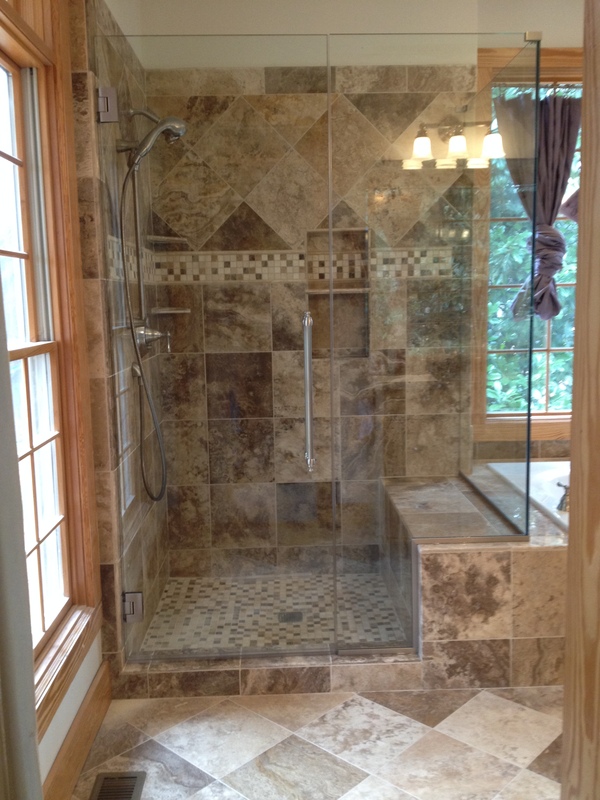 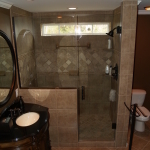 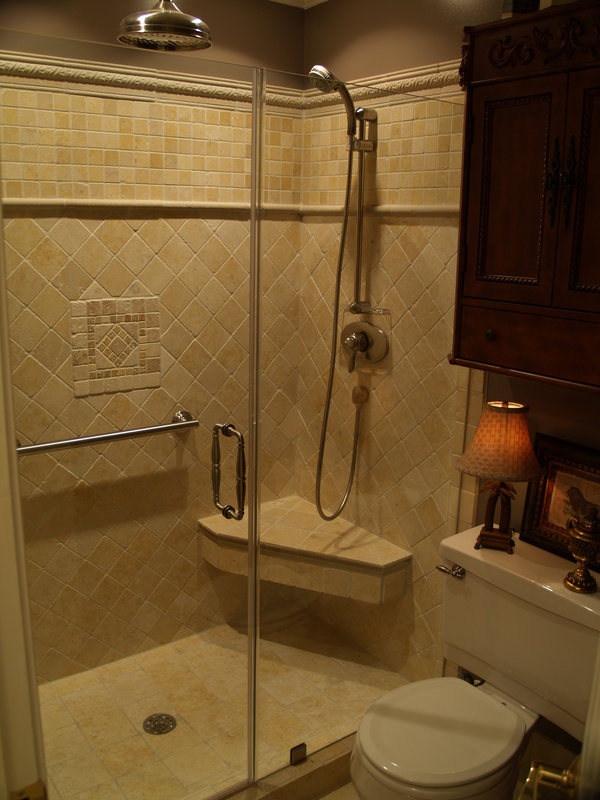 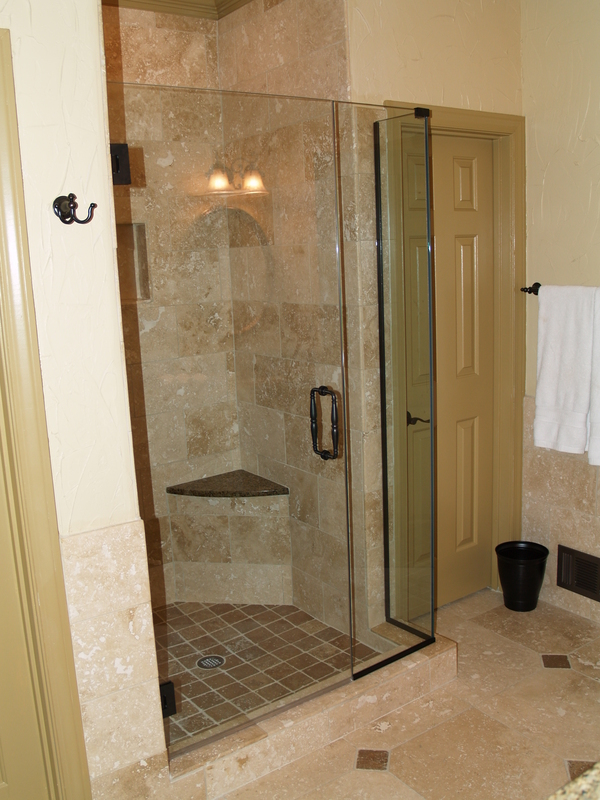 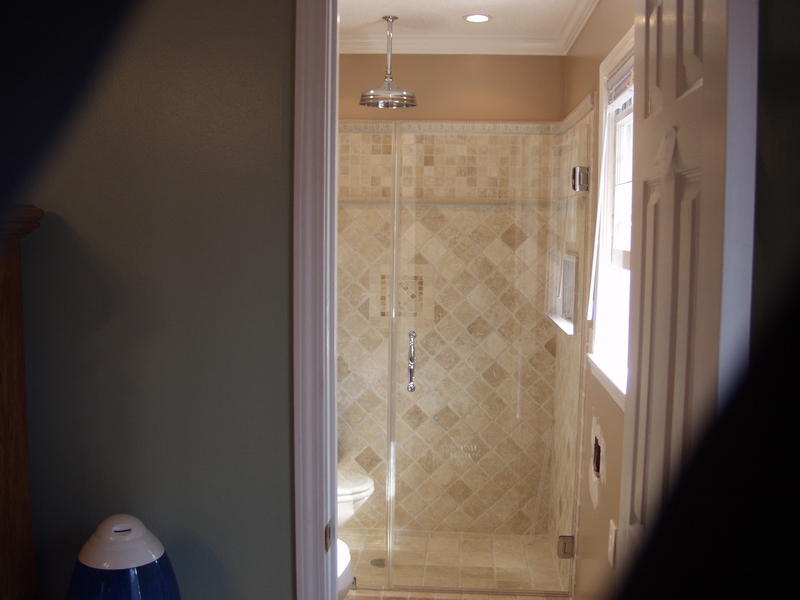 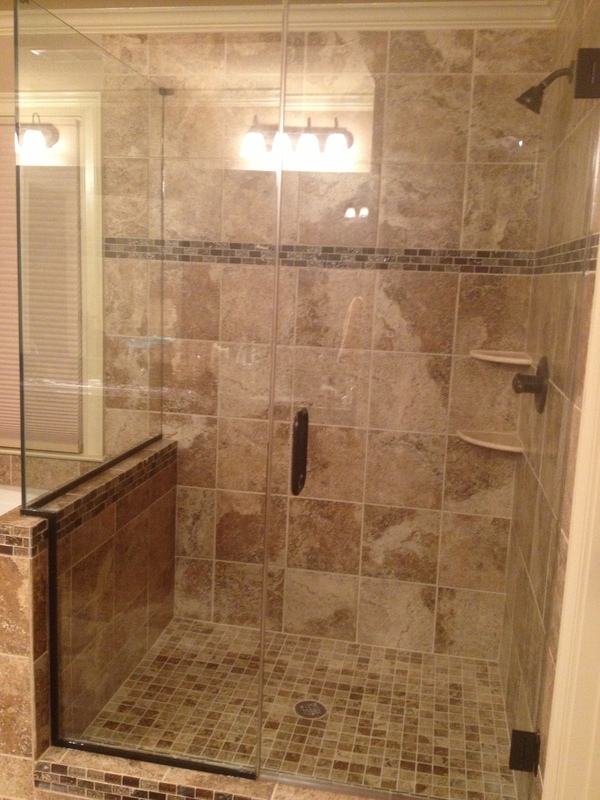 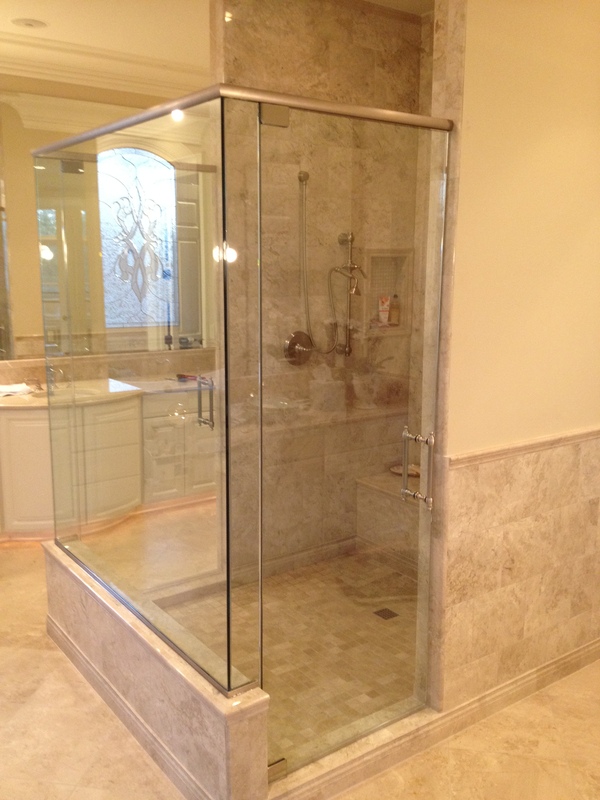 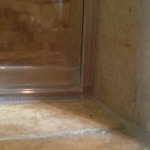 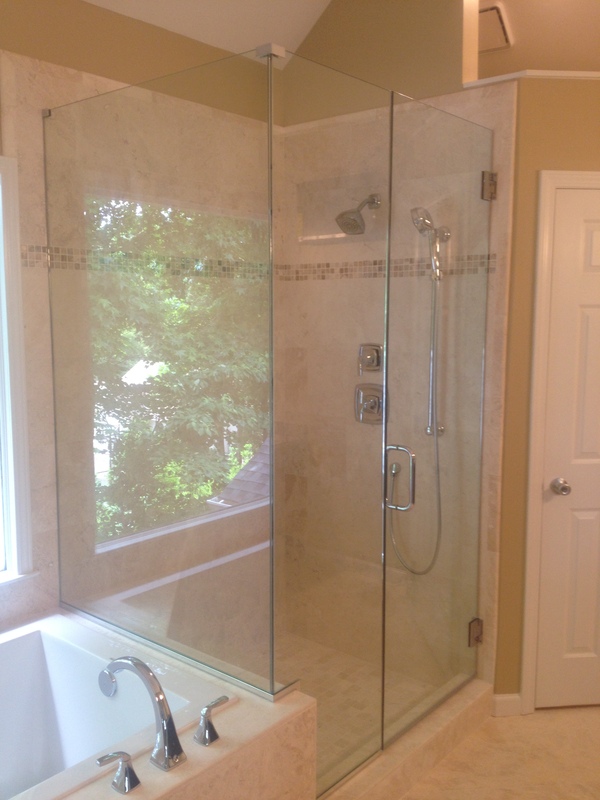 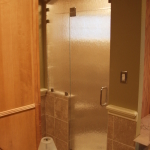 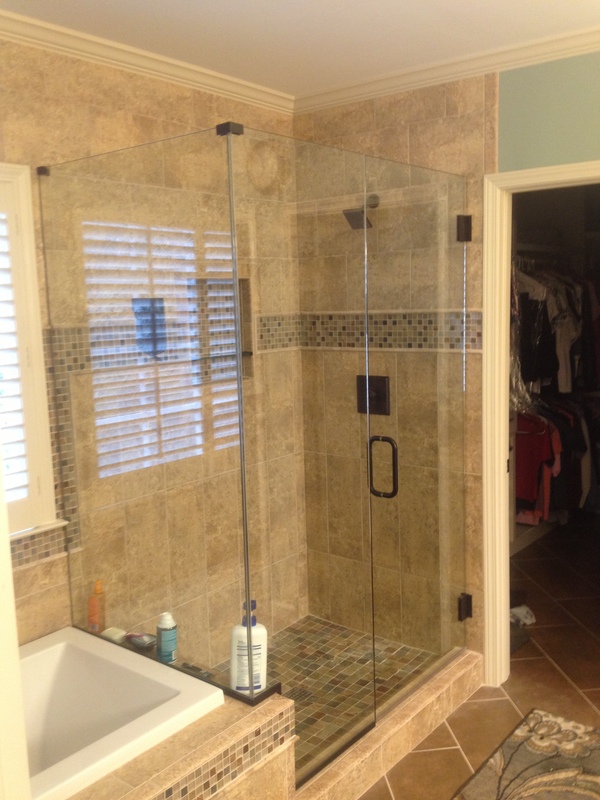 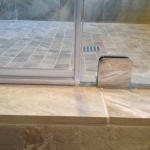 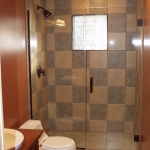 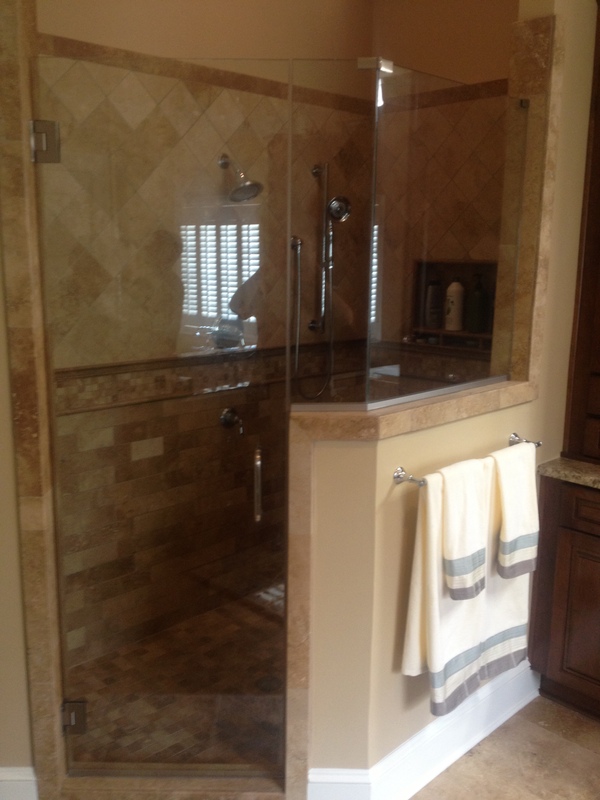 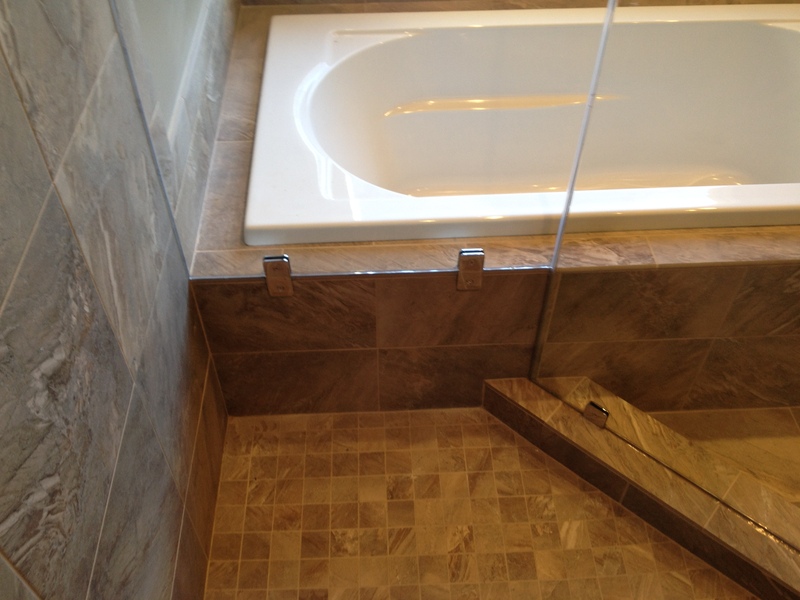 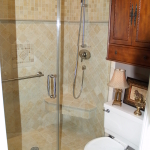 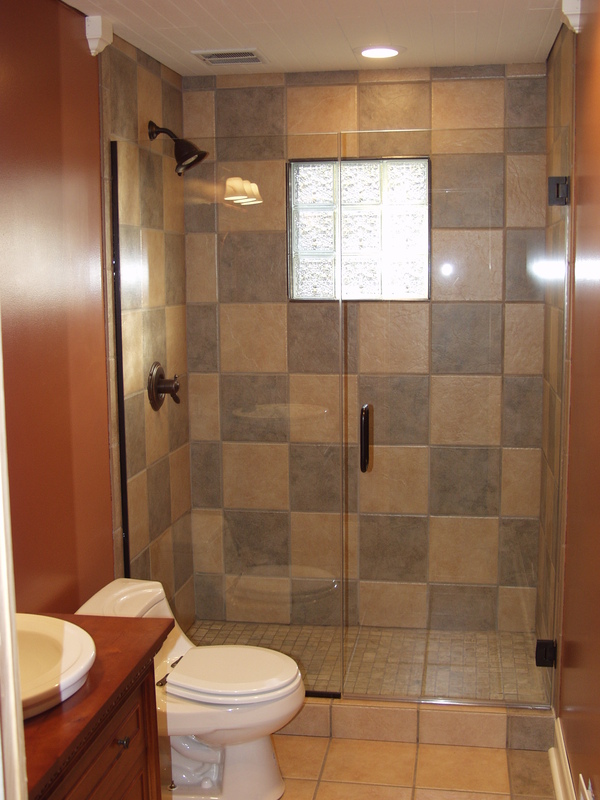 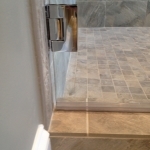 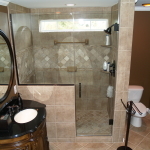 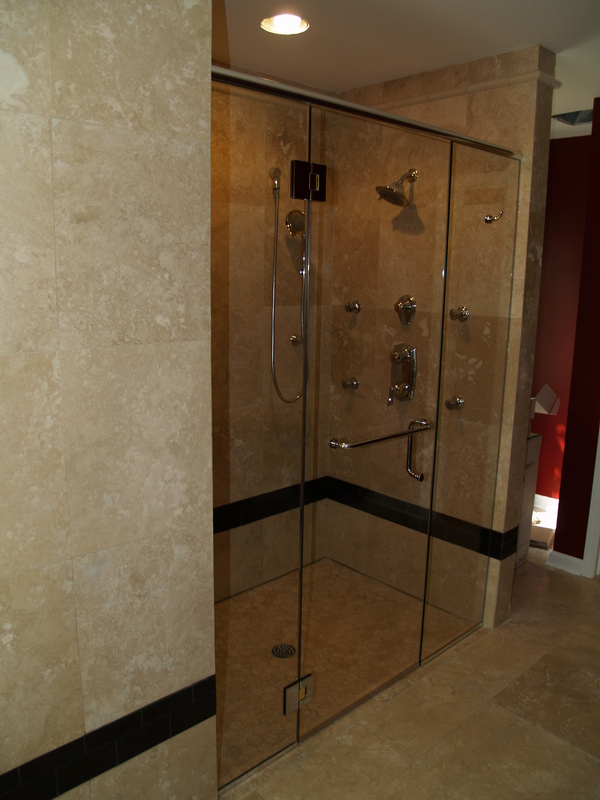 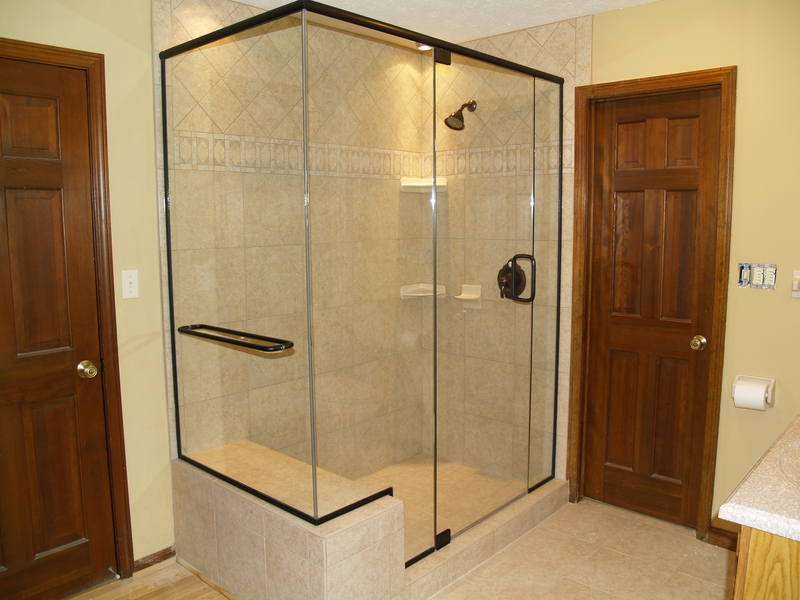 One of the best investments that you can make in your home is a frameless shower door or tub enclosure. 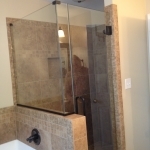 Modern designed frameless shower doors and tub enclosures will add to your future resale value while giving a sense of space and luxury to your home. 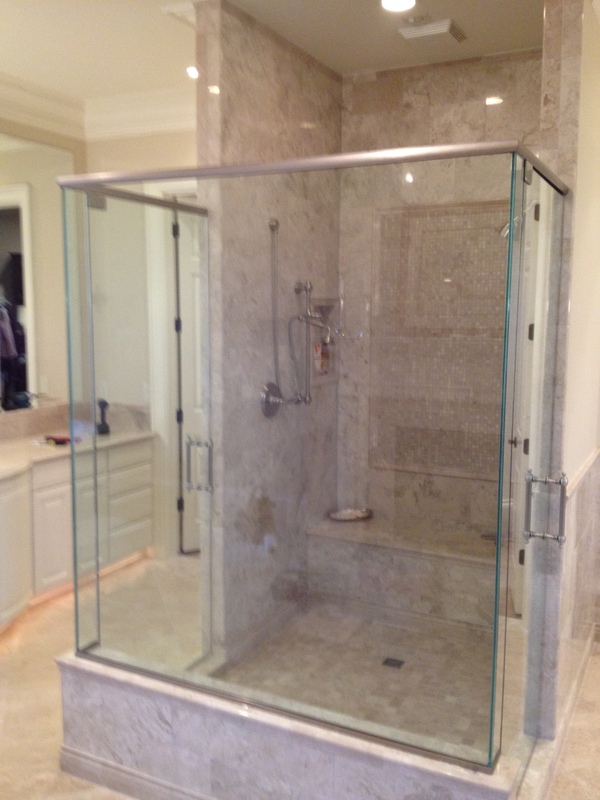 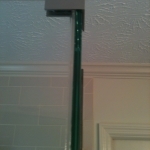 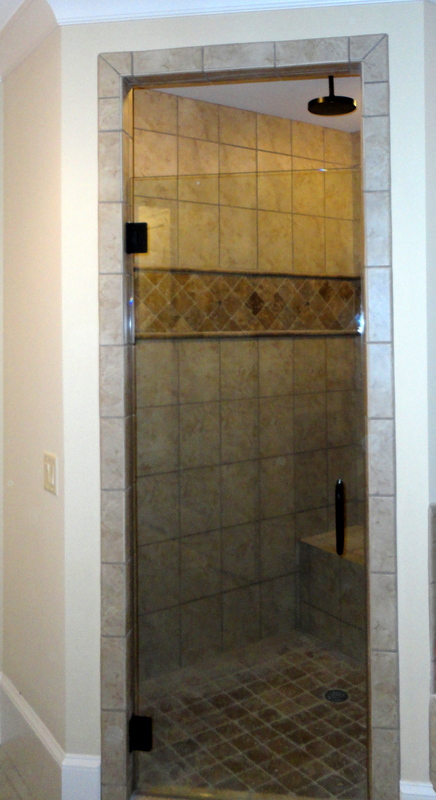 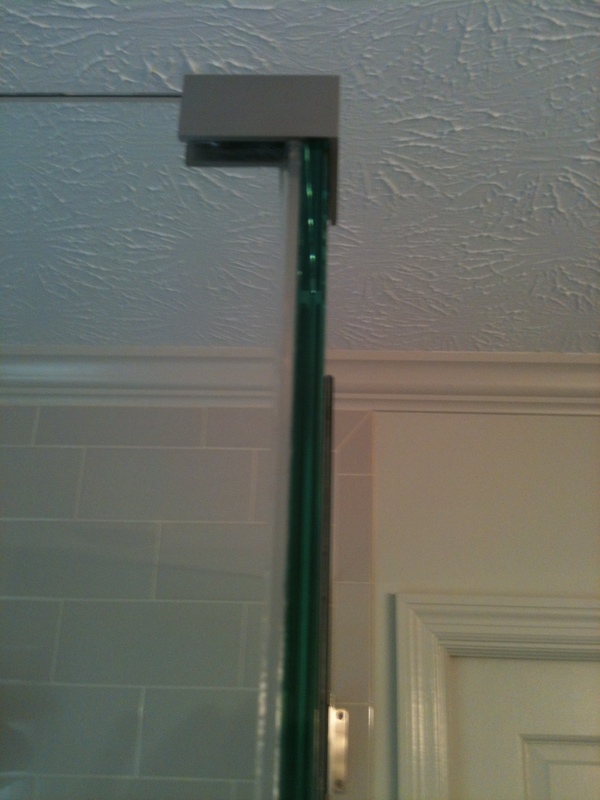 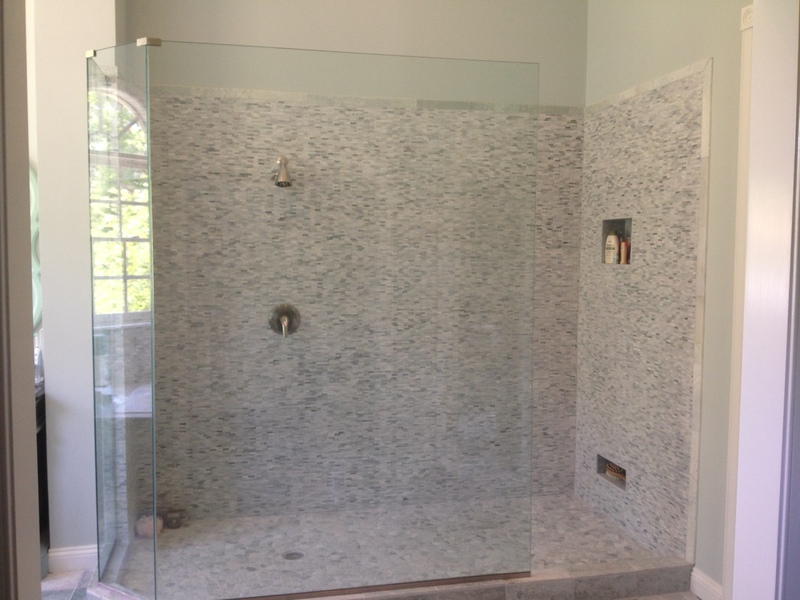 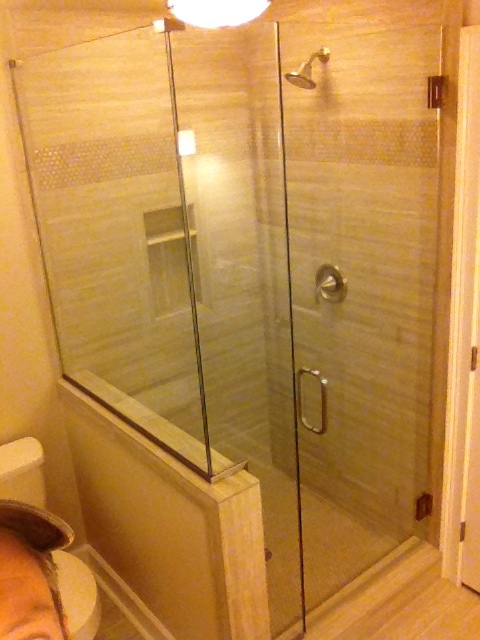 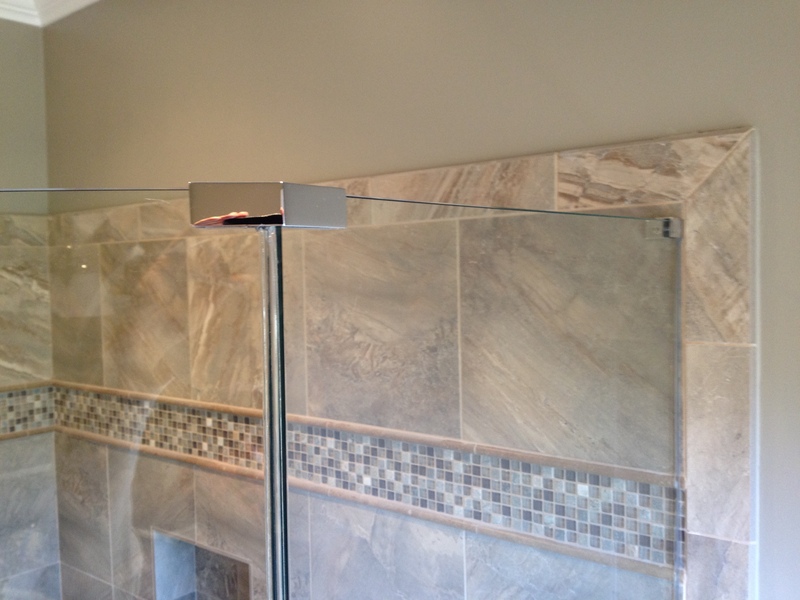 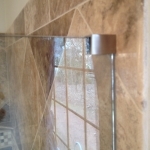 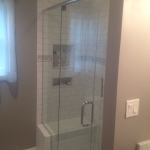 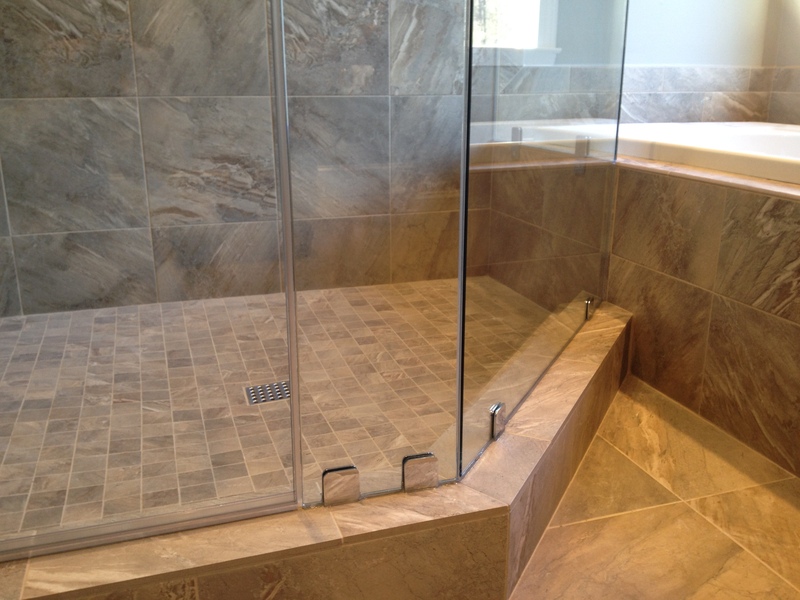 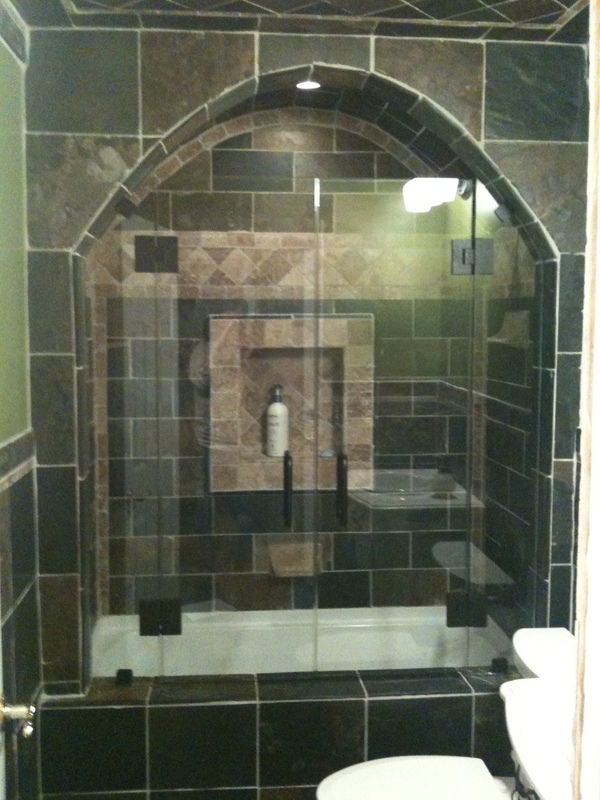 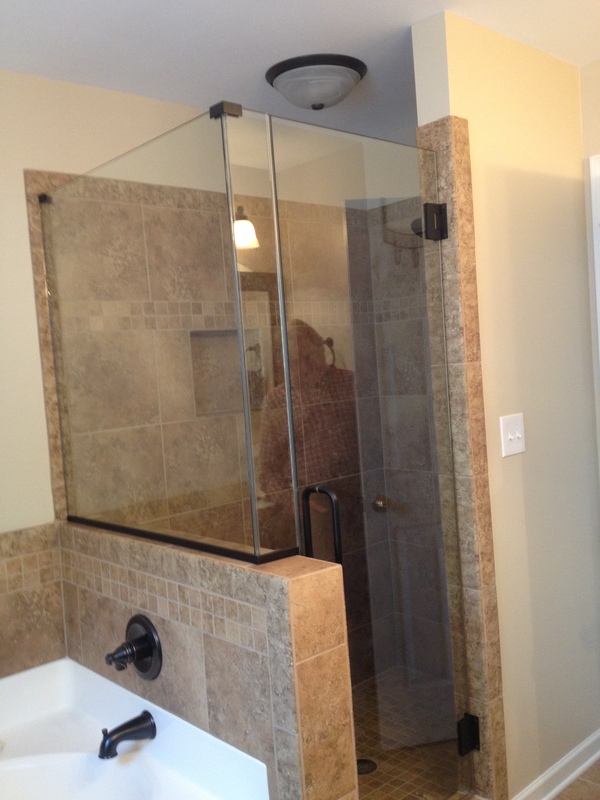 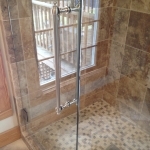 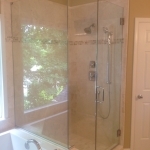 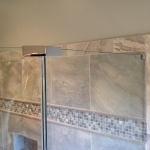 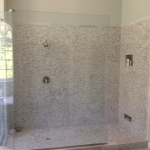 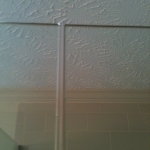 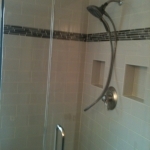 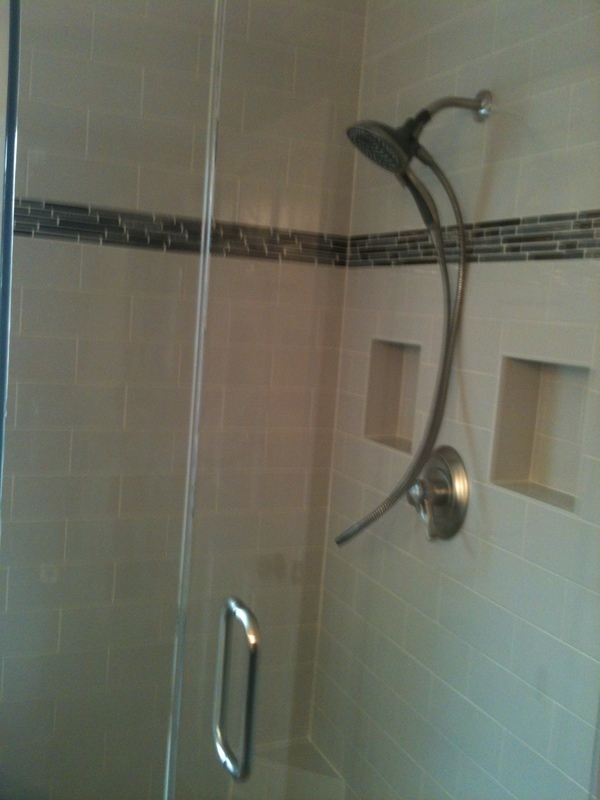 Call for your FREE ESTIMATE on a Frameless Shower Door or enclosure today! 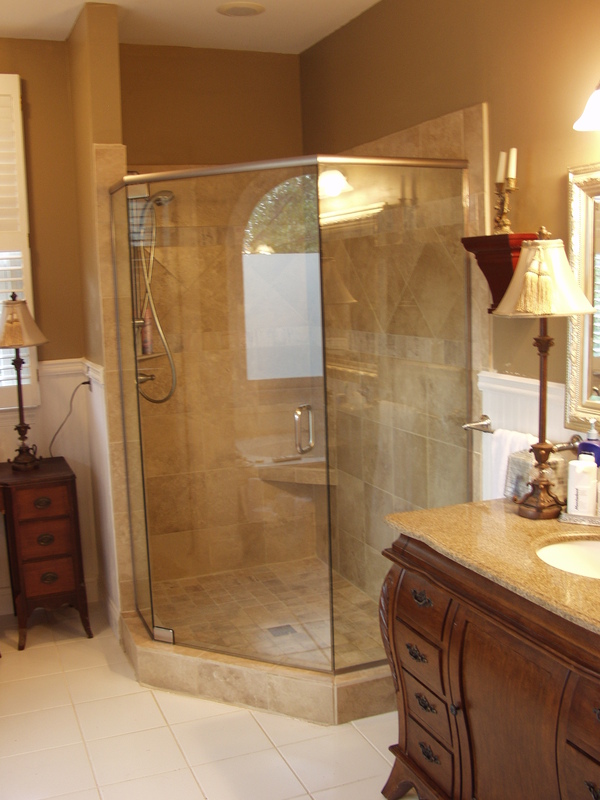 According to Home and Garden Magazine [quote] The bathroom is the new kitchen, and dollars spent there will bring a return when the home is sold. 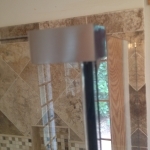 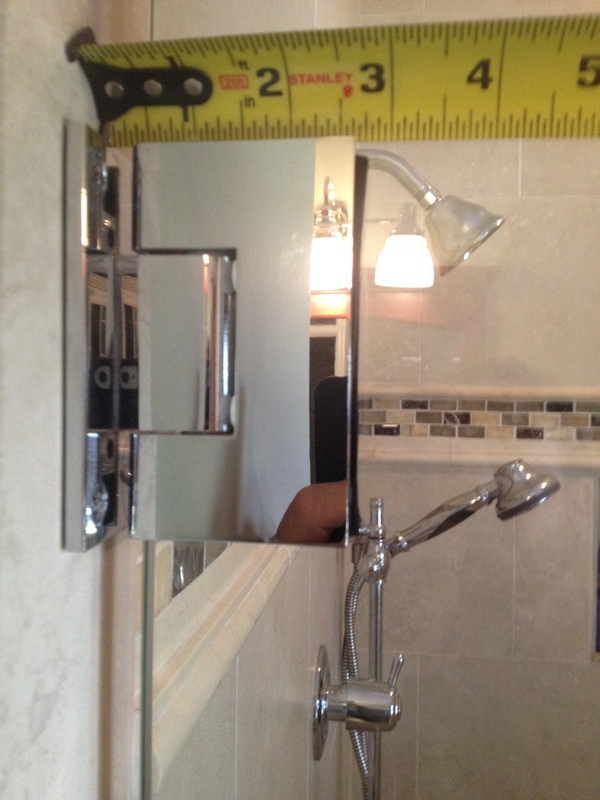 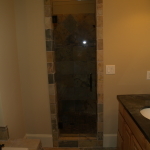 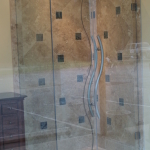 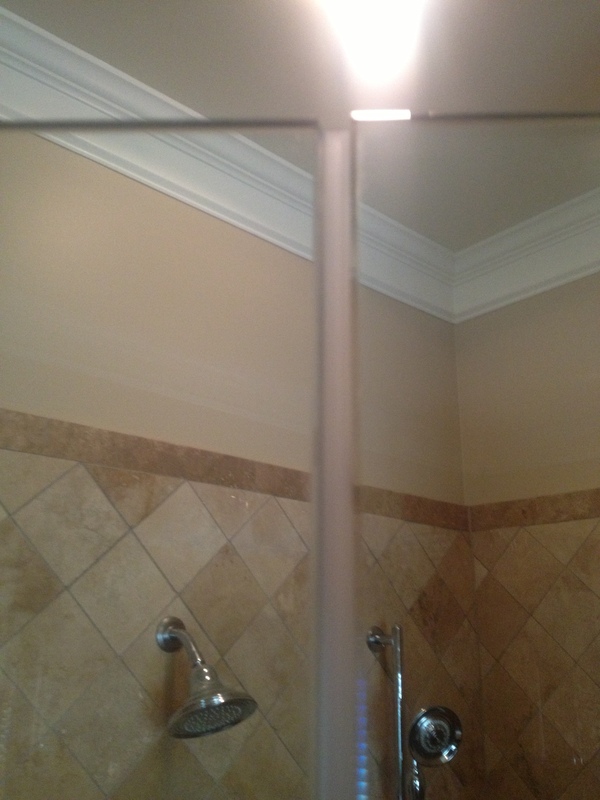 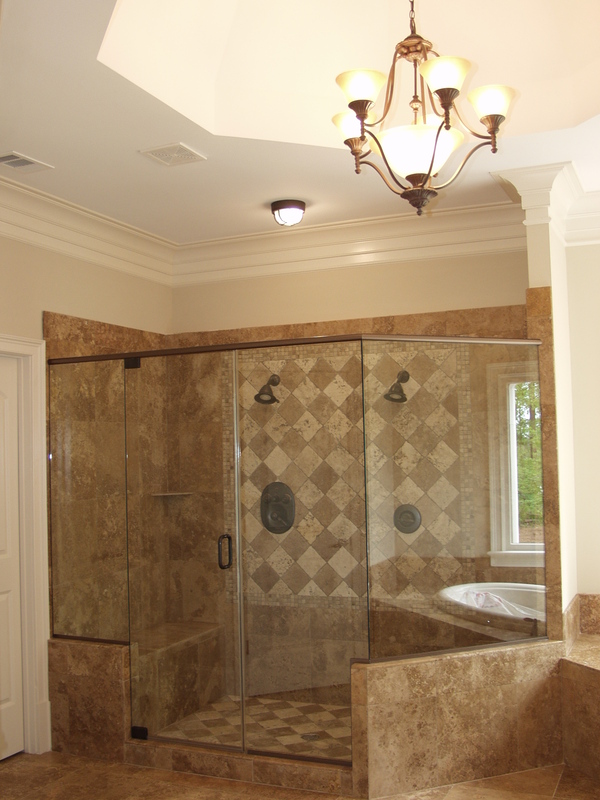 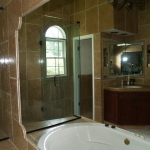 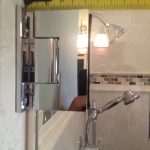 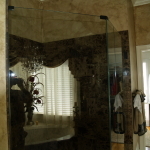 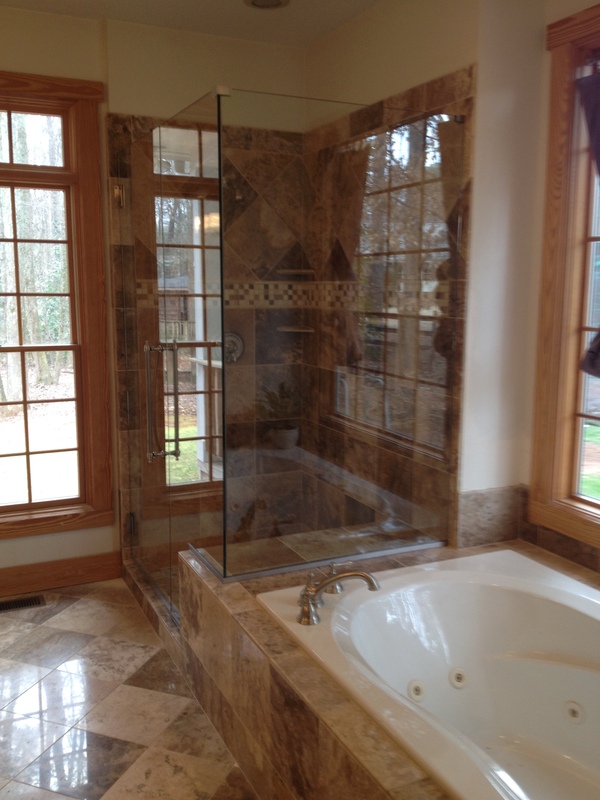 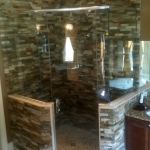 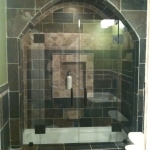 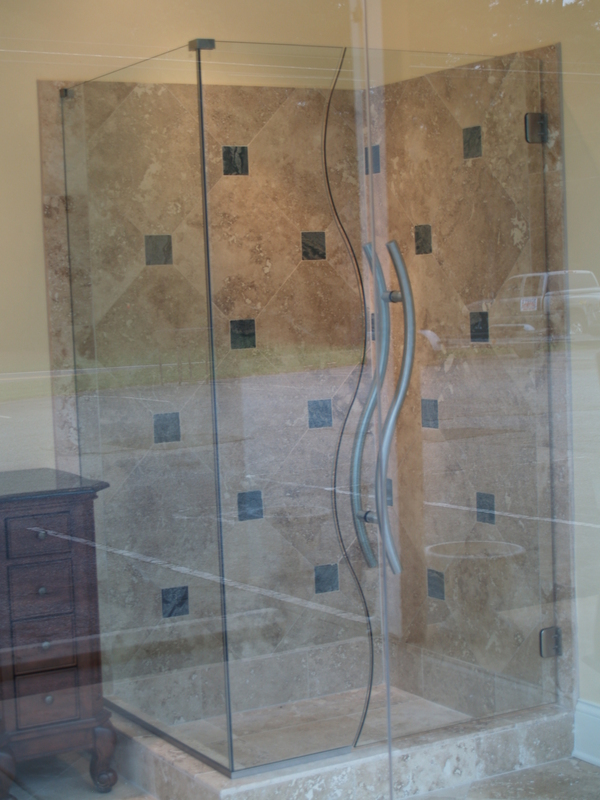 [/quote] At Fast Glass Mirrors & More we proudly serve greater Atlanta and offer many unique options that are available for shower doors and tub enclosures (Come see our Showroom). 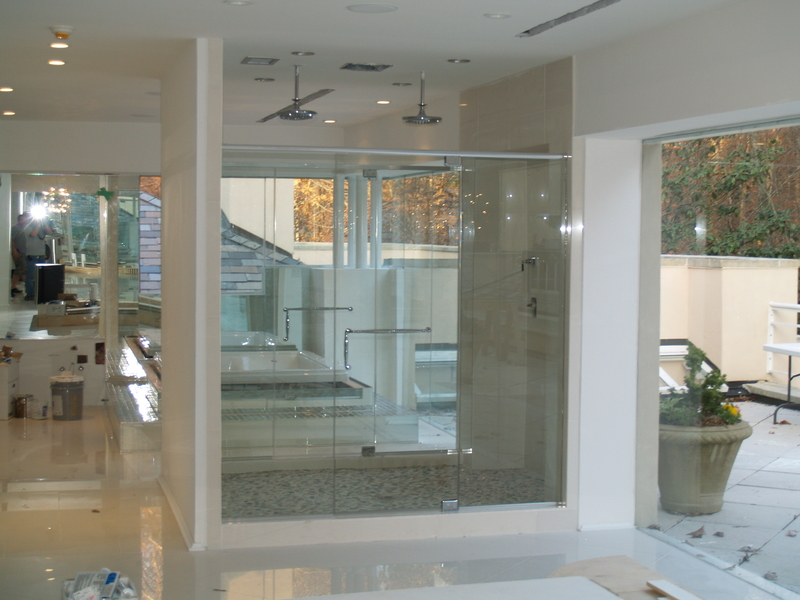 In addition to our unique designs, there are many different options available from hardware selection and finish to glass patterns and even glass color. 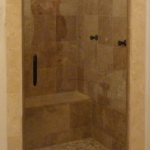 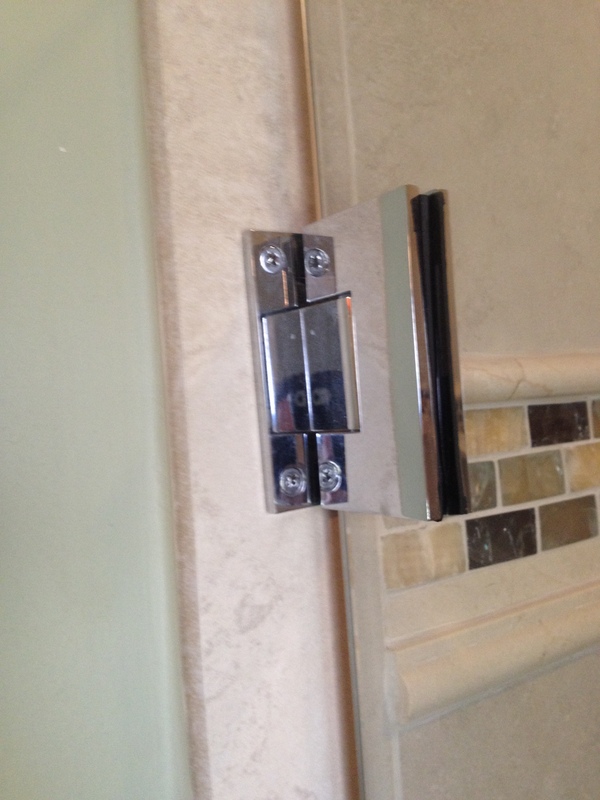 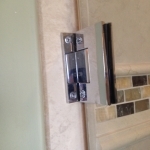 Accent any of these shower doors or tub enclosures with over a dozen different hardware finishes and create your own unique statement that will provide both a uniquely beautiful and functional shower door. 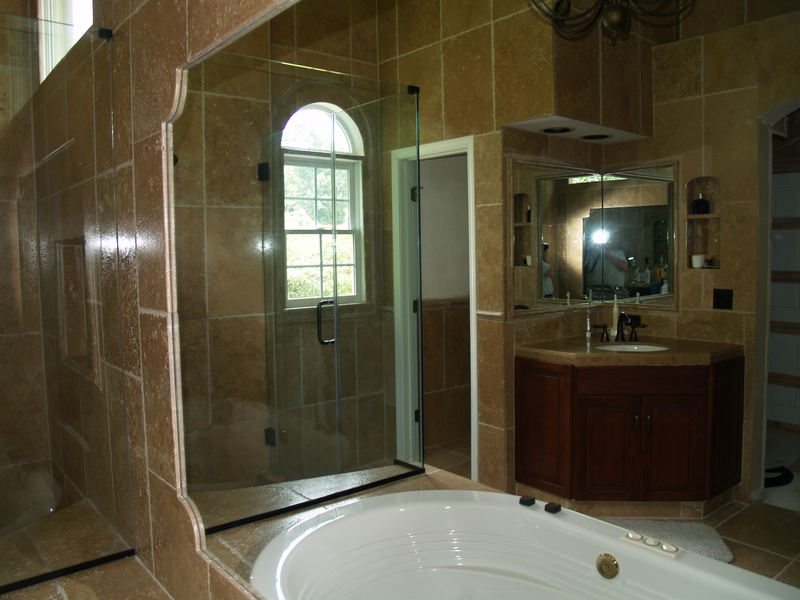 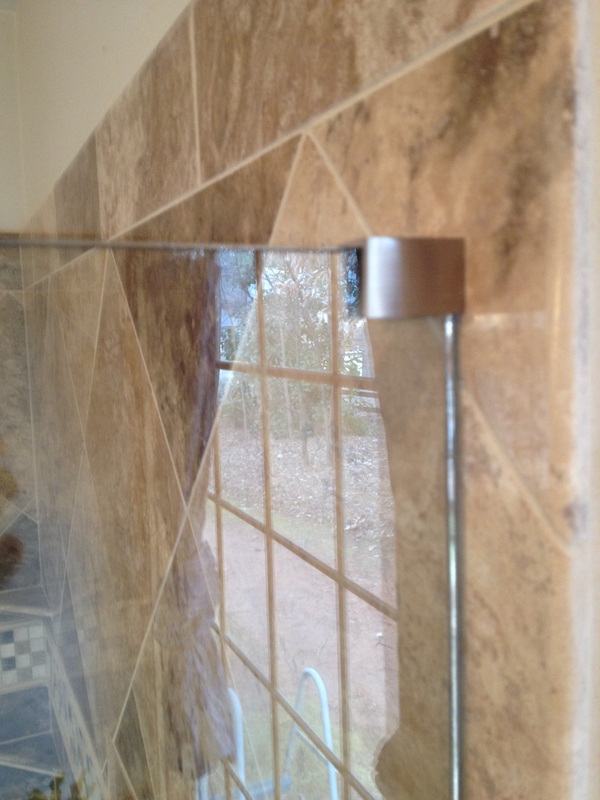 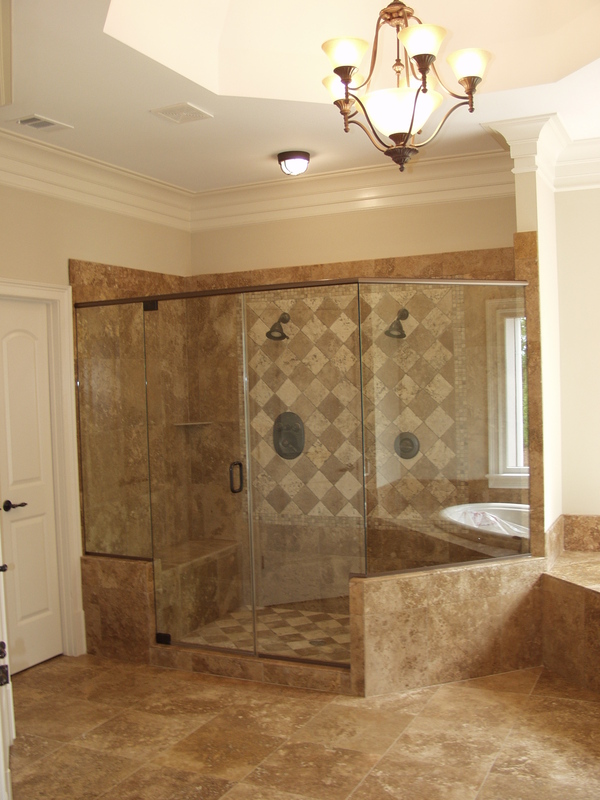 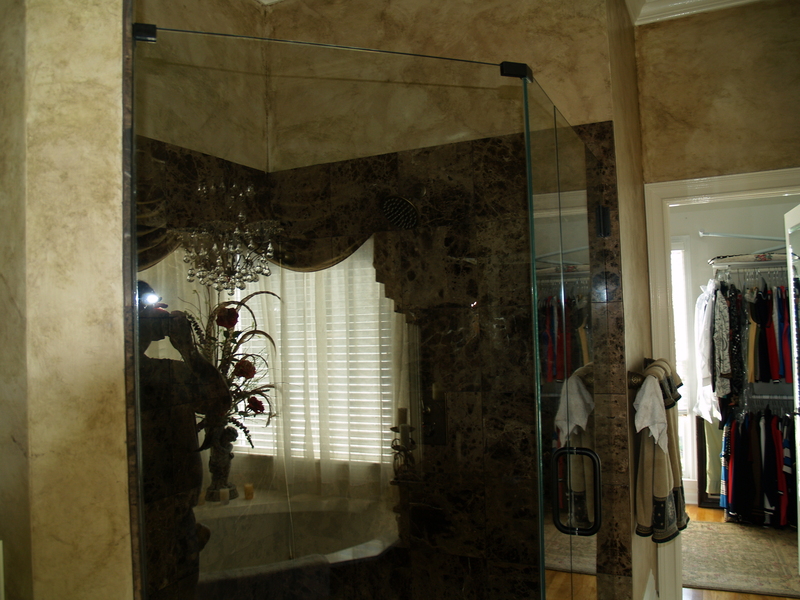 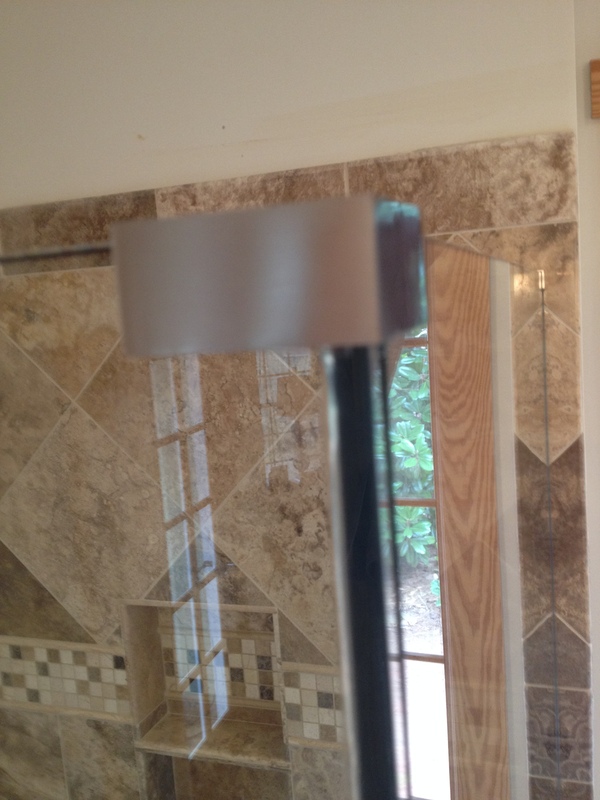 Contact Fast Glass Mirrors and More for custom frame-less shower enclosures and installation services in the greater metro Atlanta area. 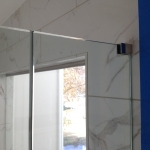 Whatever way you choose to use frameless shower enclosures, Fast Glass Mirrors and More is the ultimate resource for the finest frame-less shower enclosures. 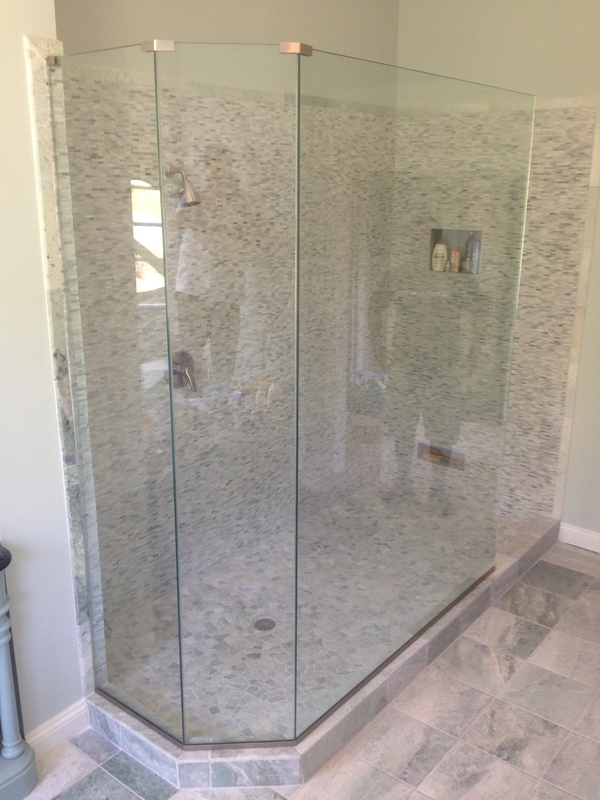 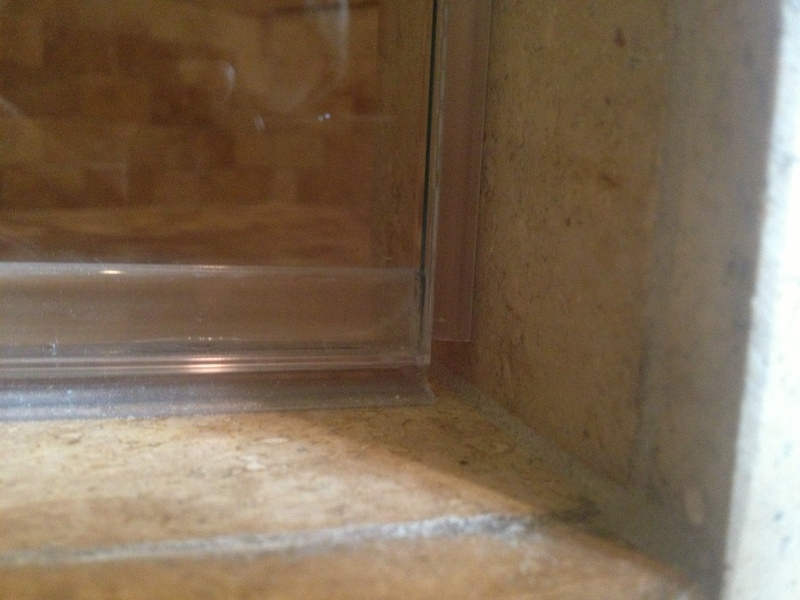 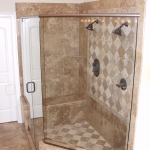 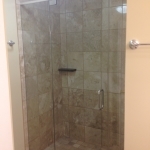 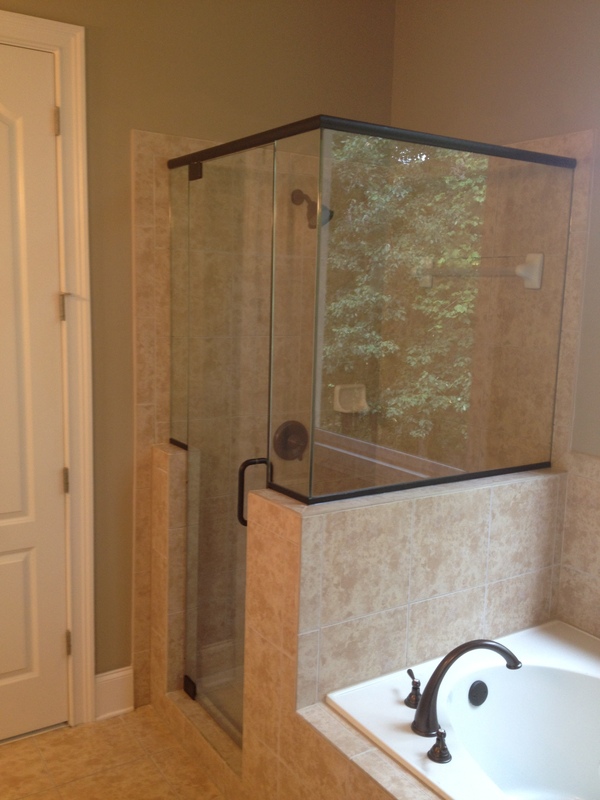 Call us first and our experienced staff will be glad to answer any questions you may have about frame-less shower enclosures, and give you ideas, references, and quotes, for your home. 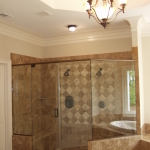 Serving greater metro Atlanta.